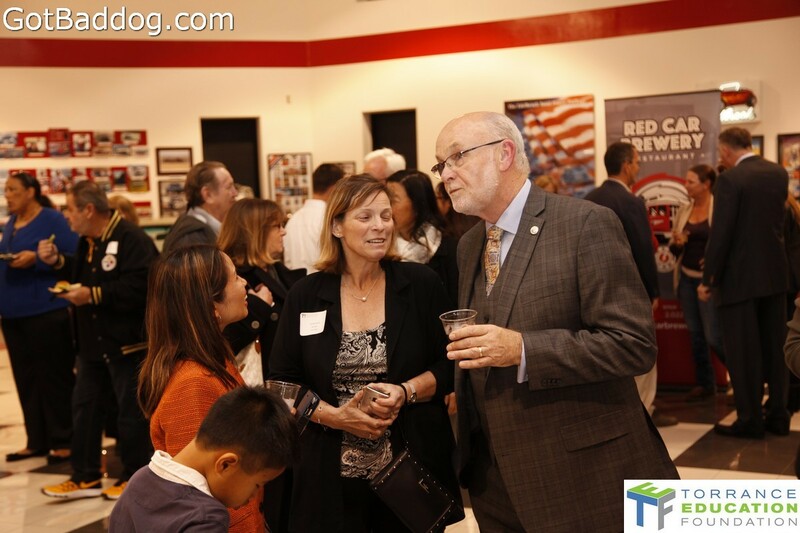 STEM stands for science, technology, engineering, and math; which are all subjects that American students need to excel in if we are to compete in tomorrow’s world. 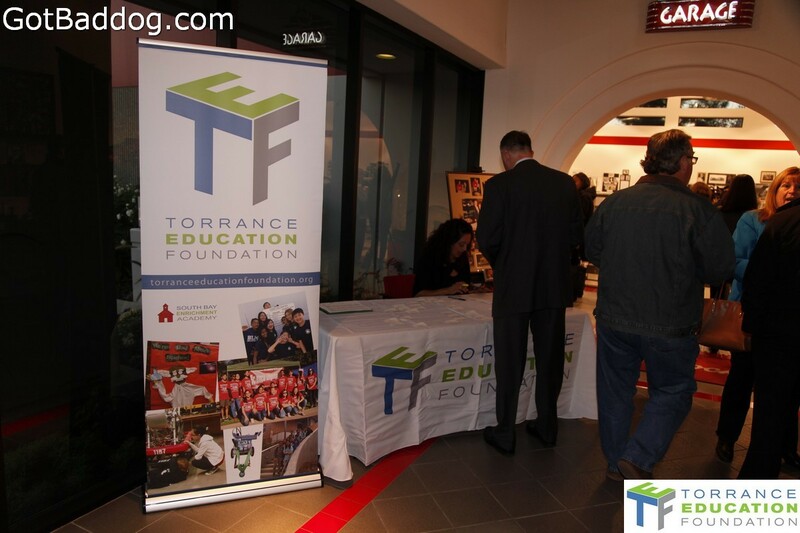 The Foundation awarded 48 grants totaling $39,500 for K-12 enrichment projects: Family STEM Nights, CyberPatriots, Hour of Code, After-School Engineering Club, Math Counts, Science Olympiad, and Robotics. 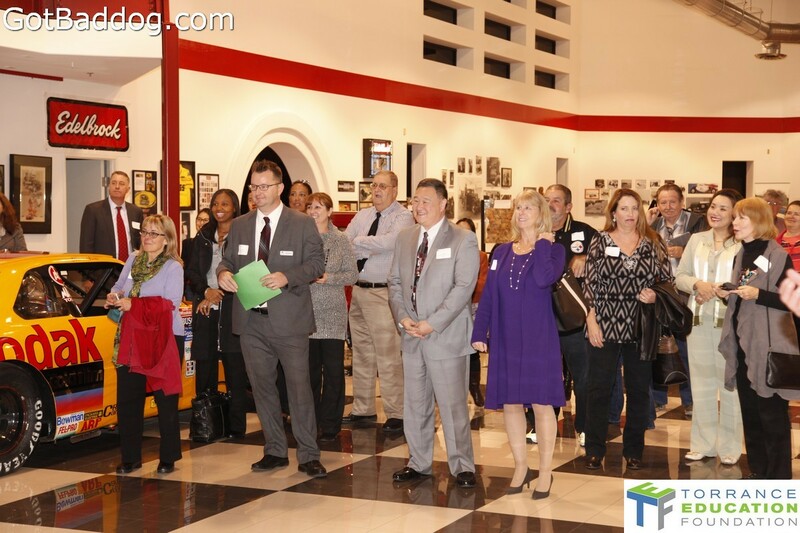 The teachers recognized at the event are doing their part to see that happens by receiving these grants that give them the money to provide a little more to their students. 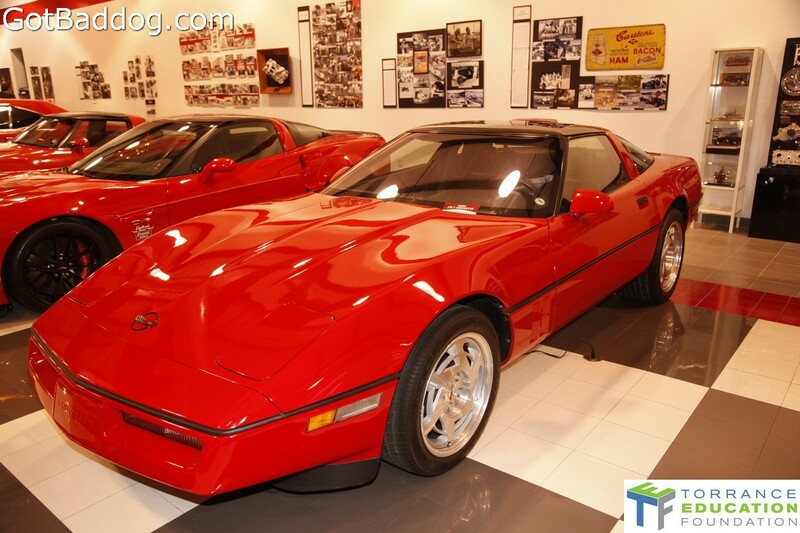 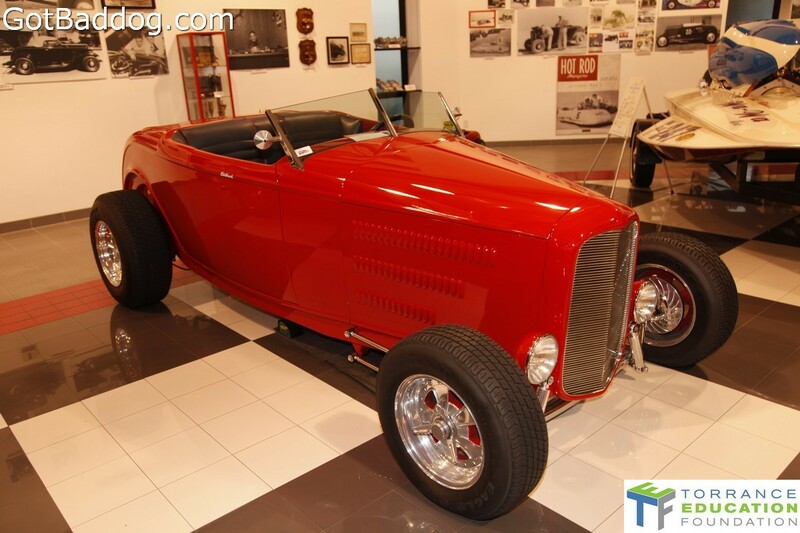 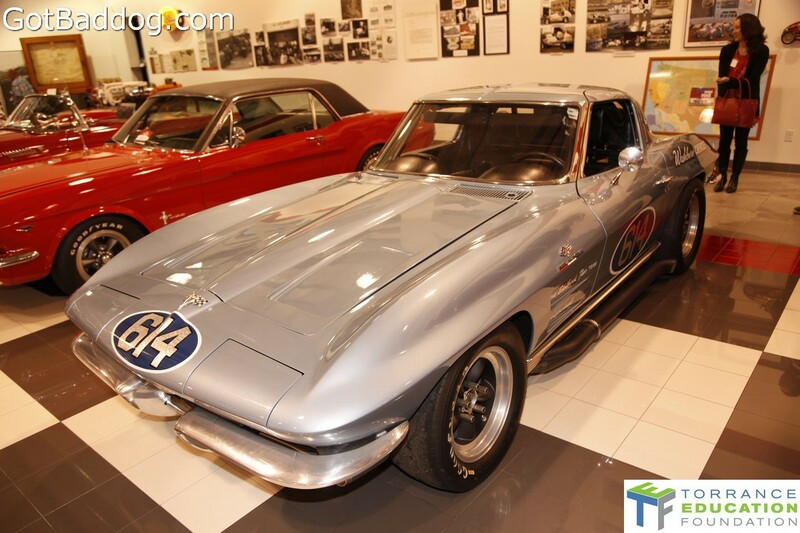 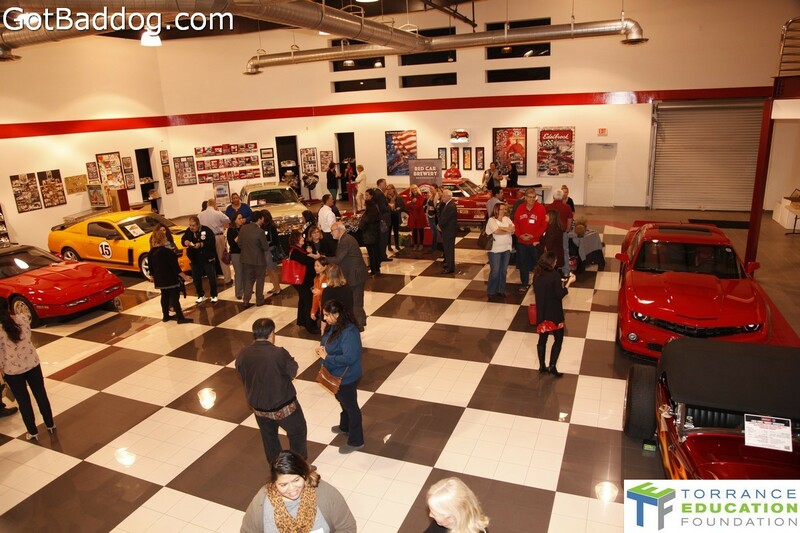 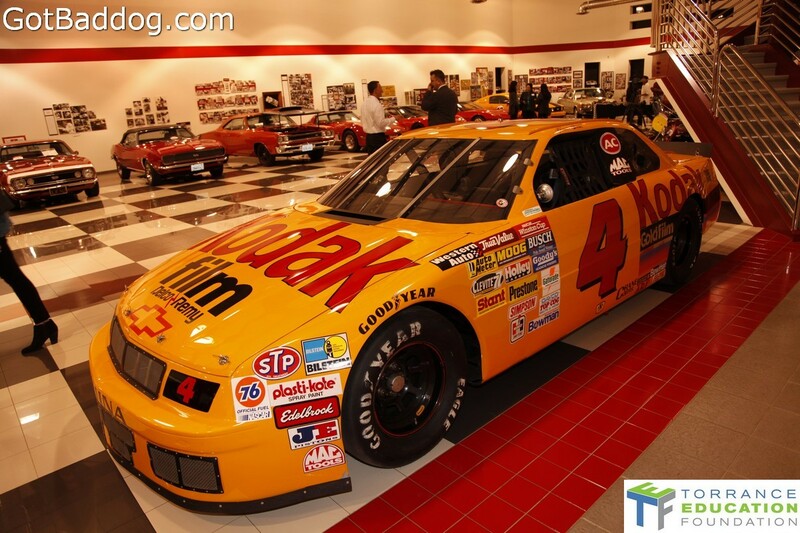 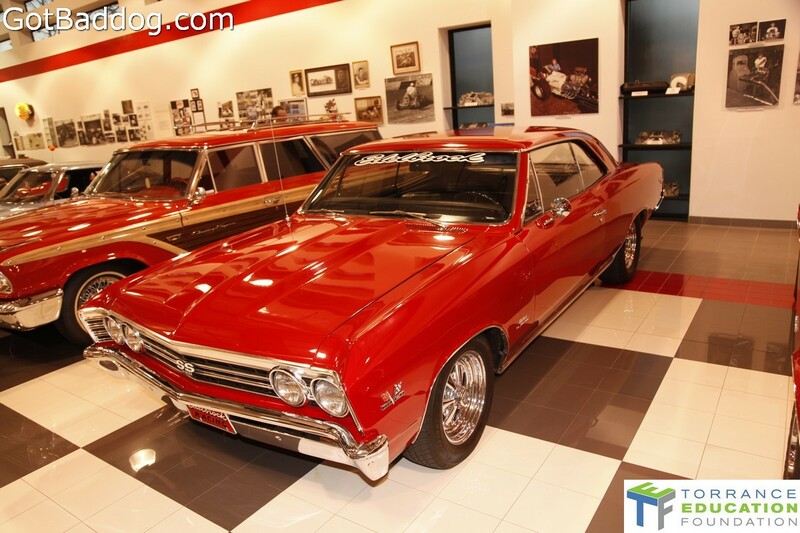 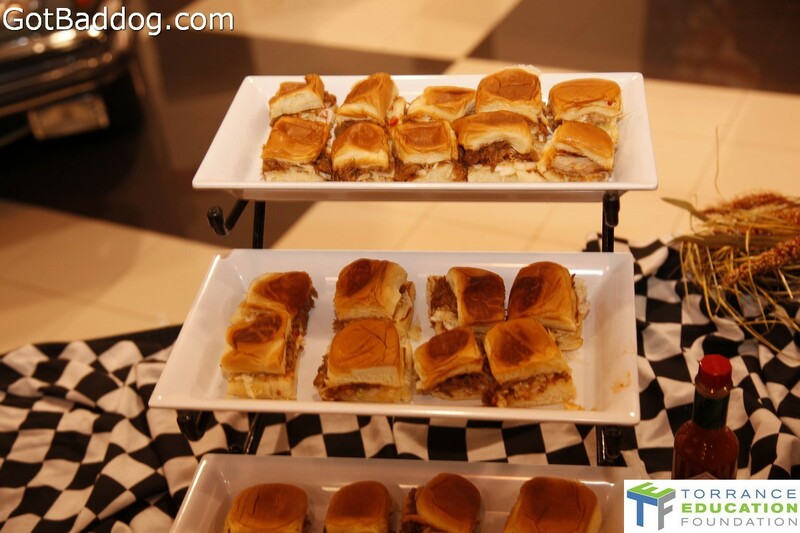 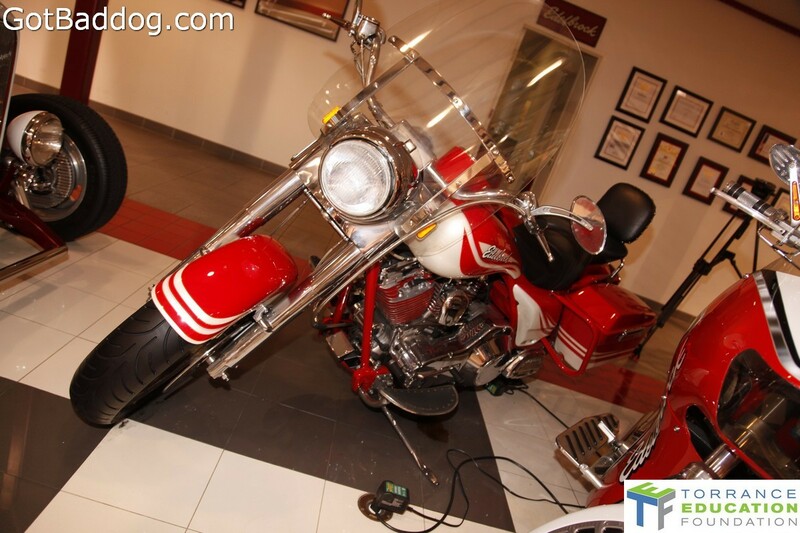 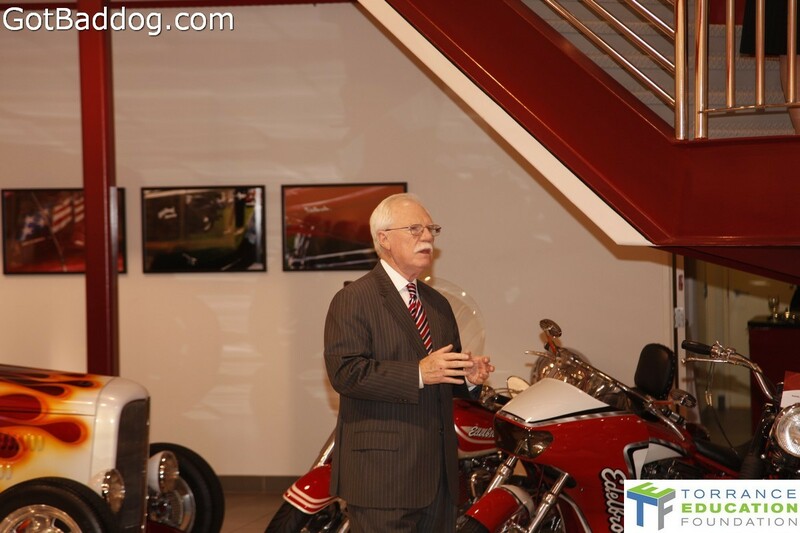 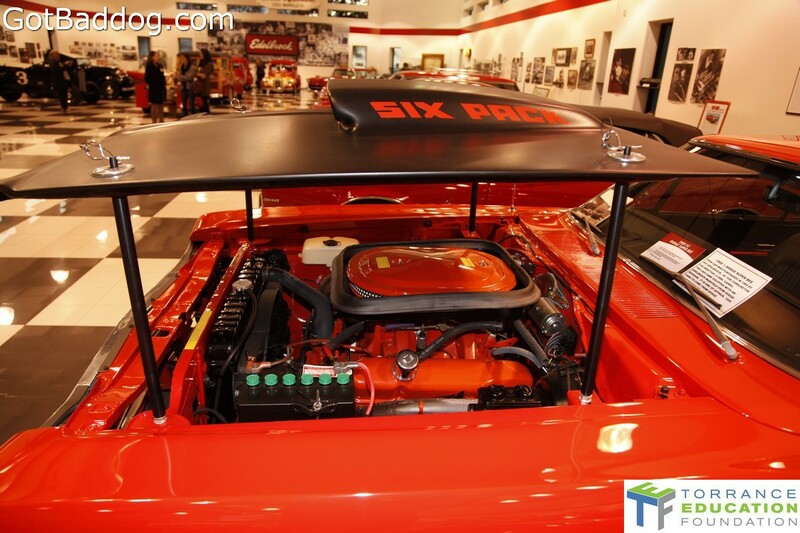 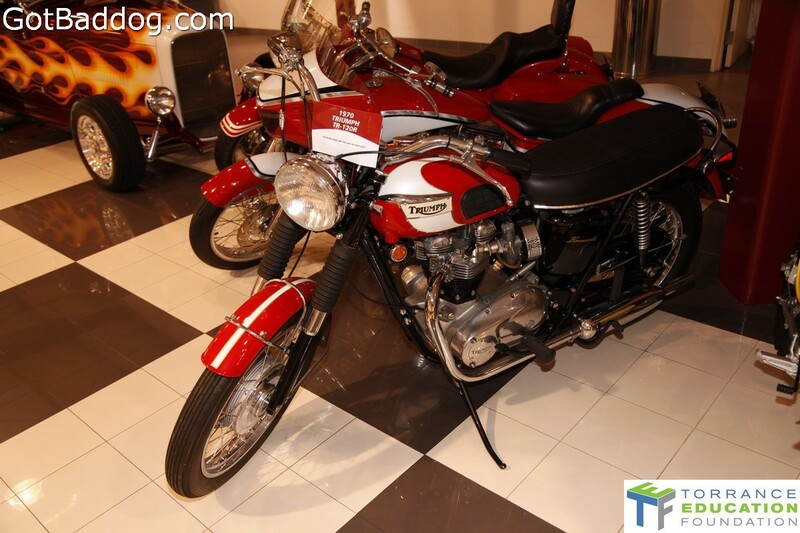 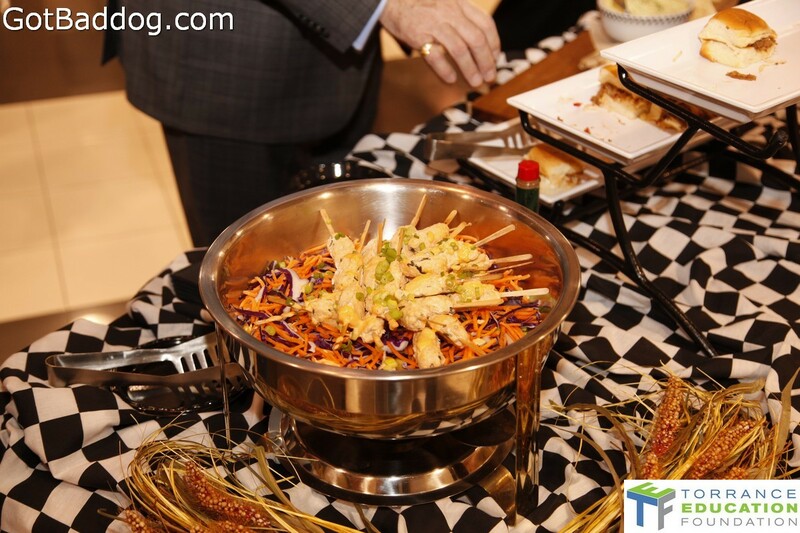 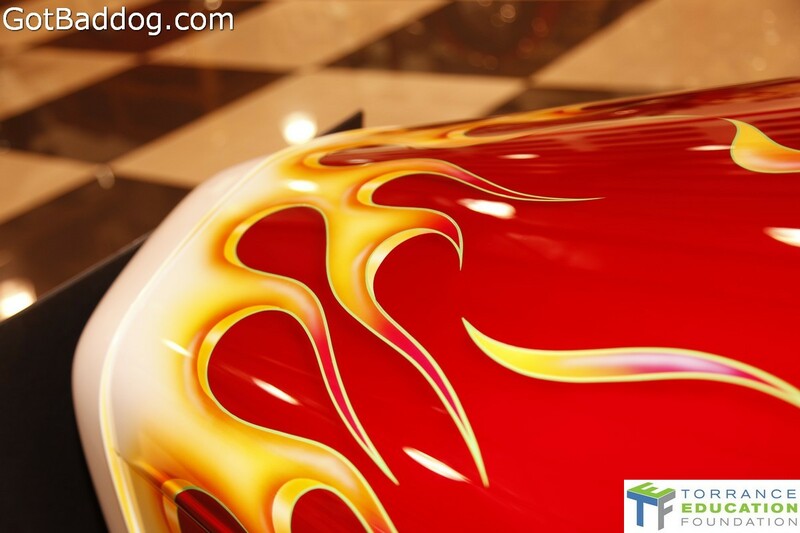 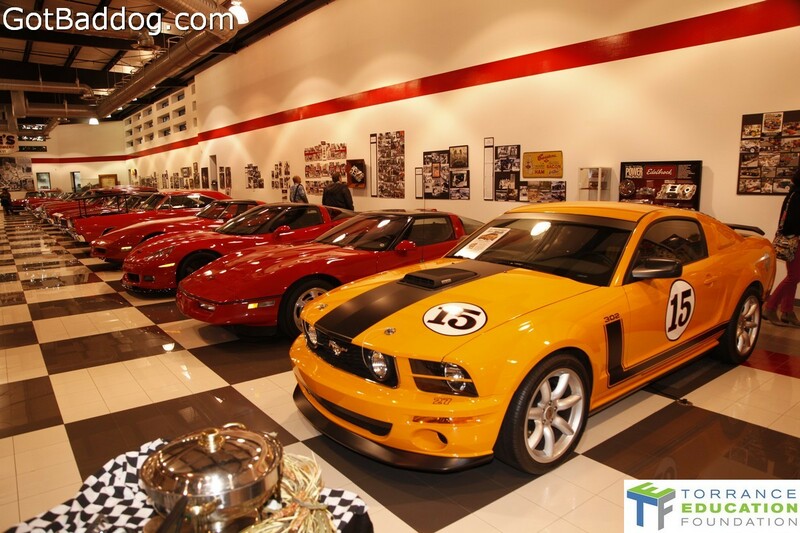 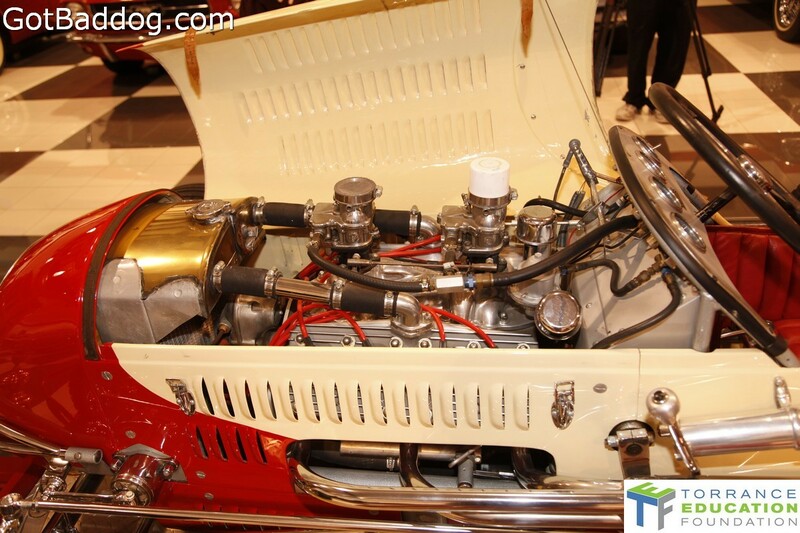 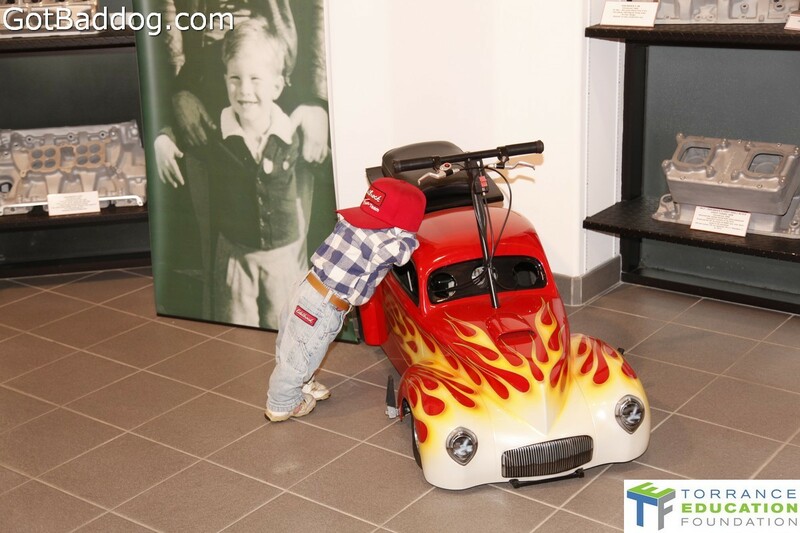 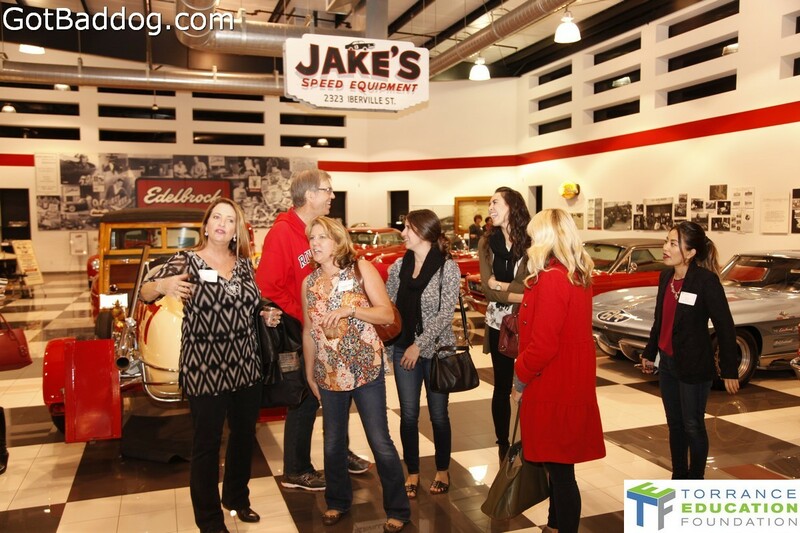 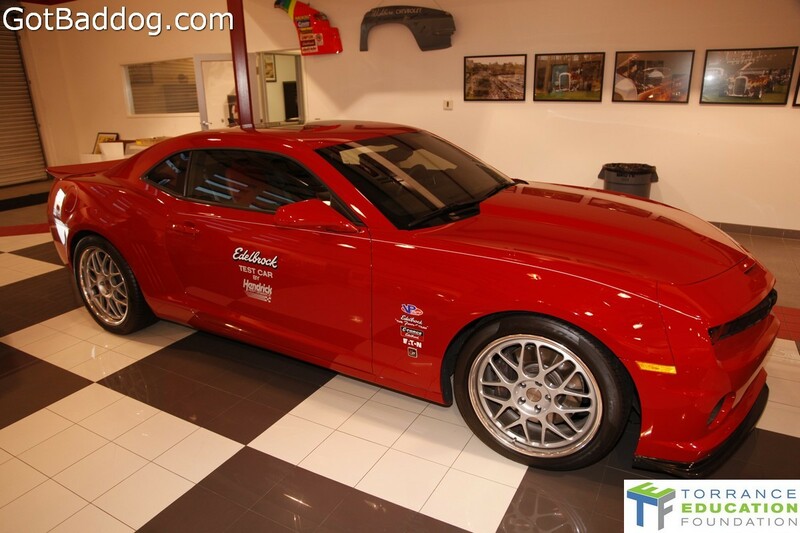 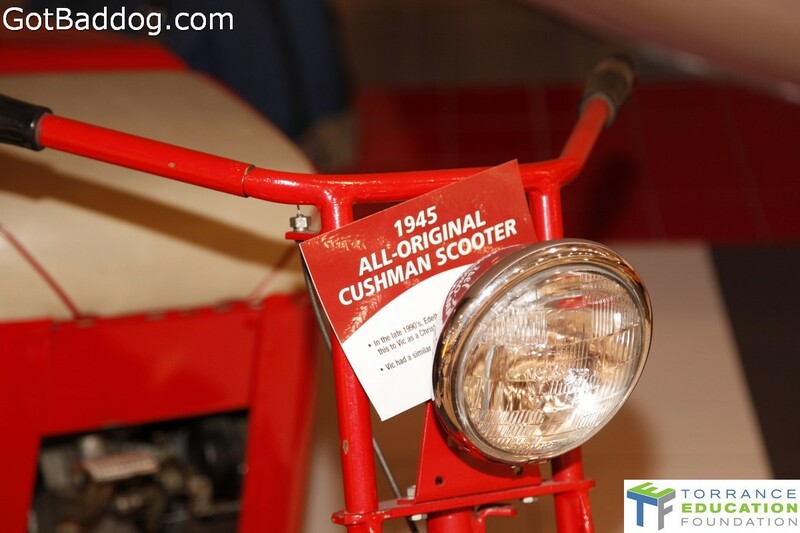 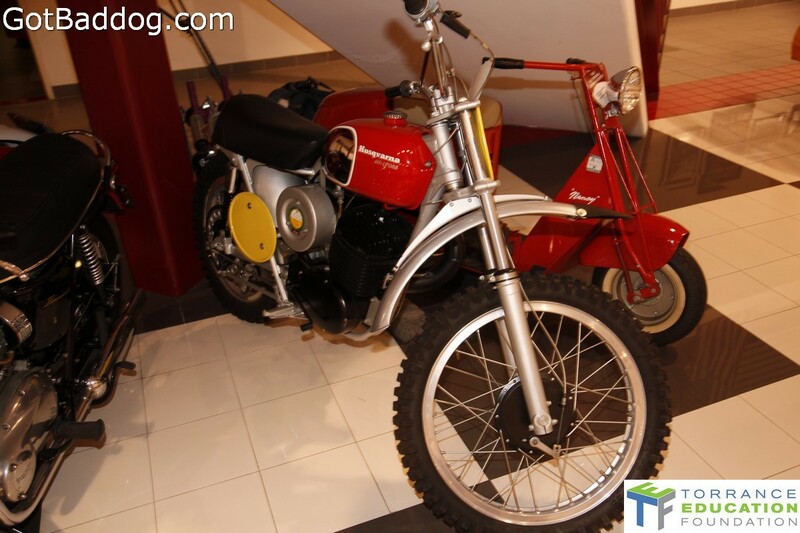 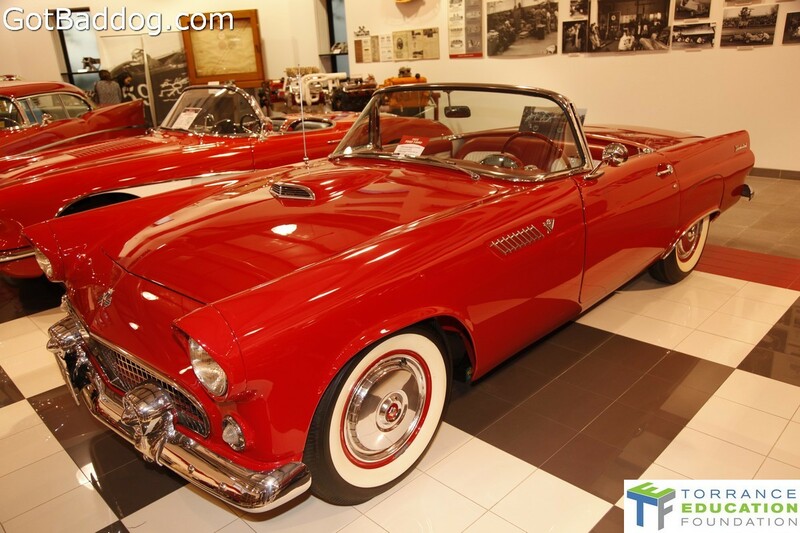 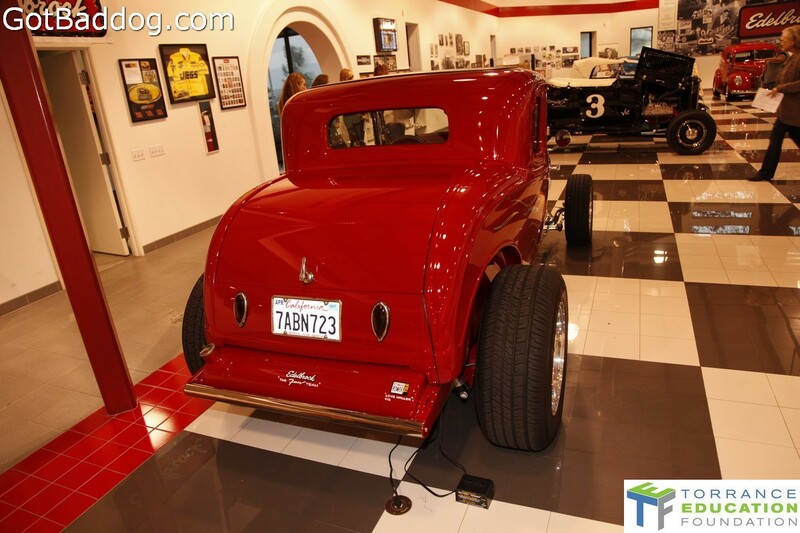 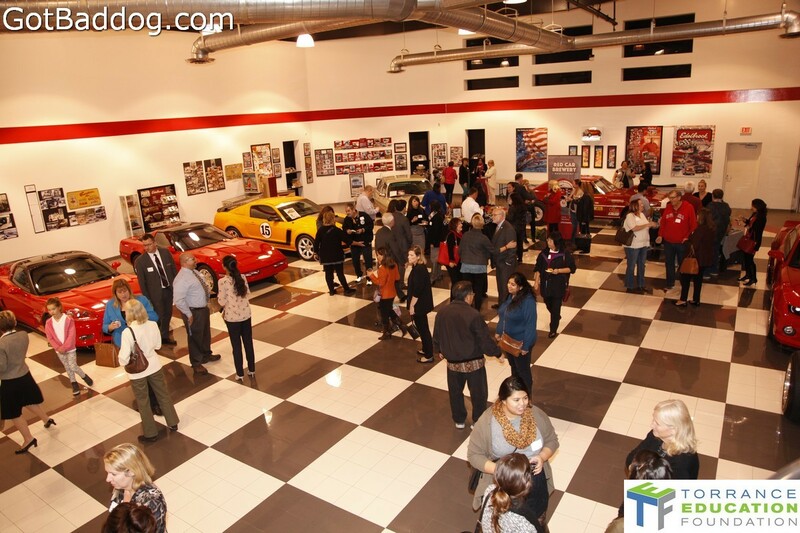 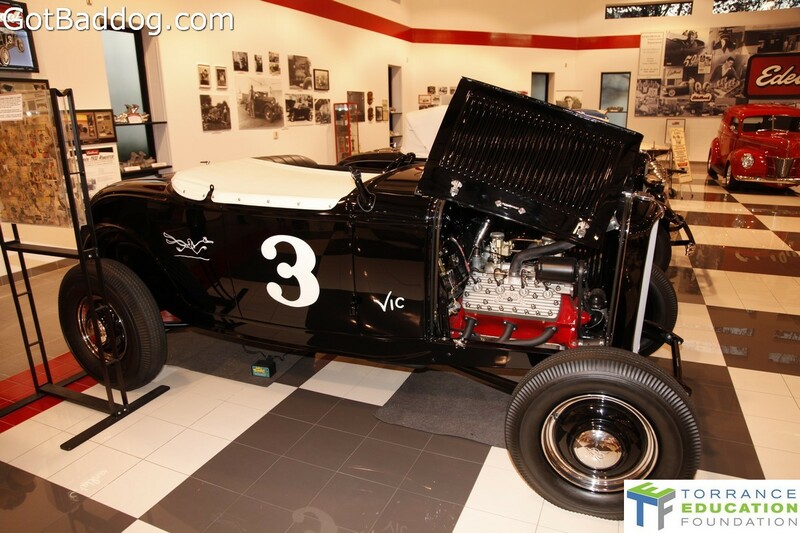 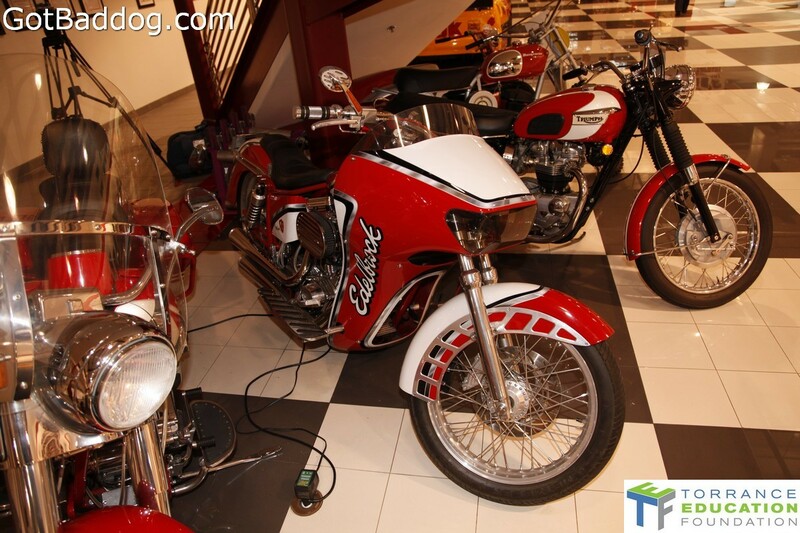 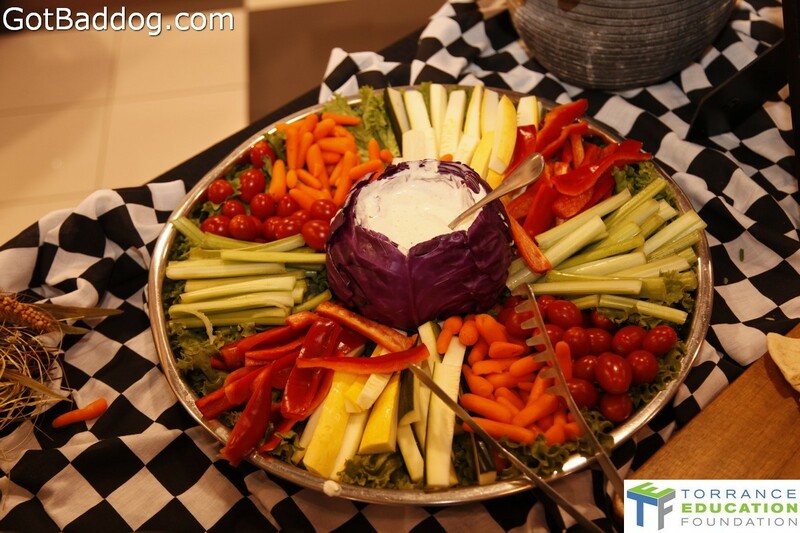 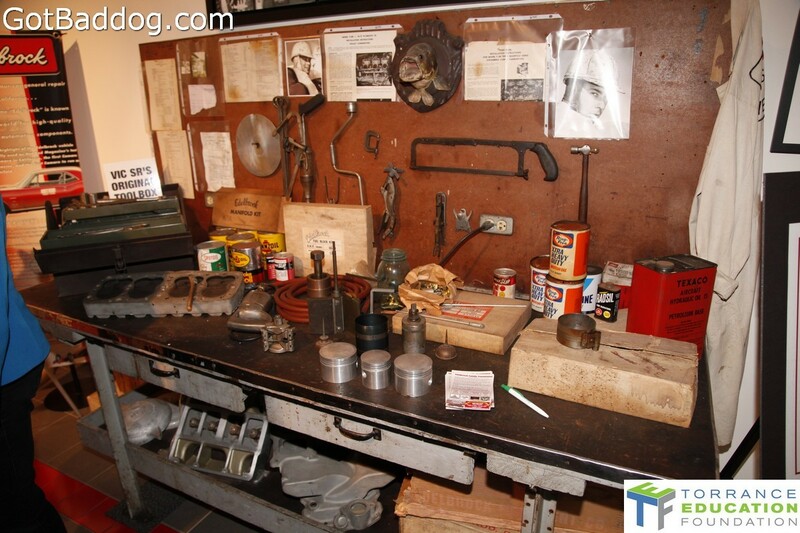 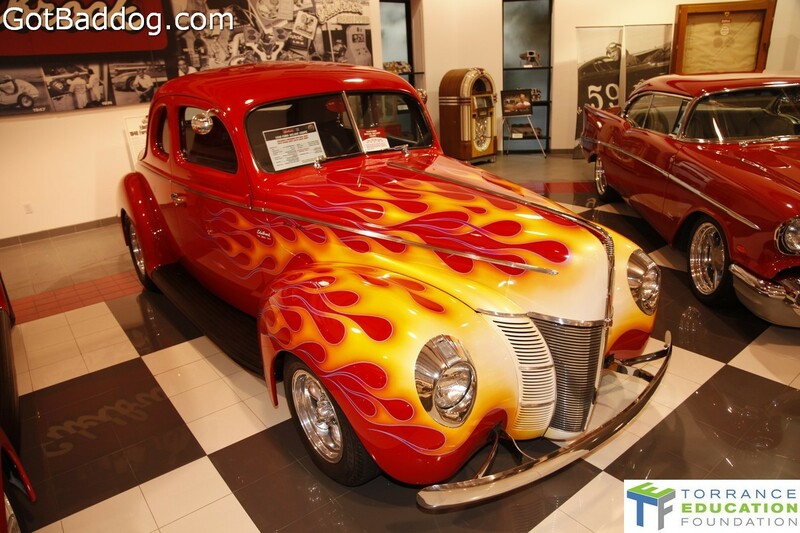 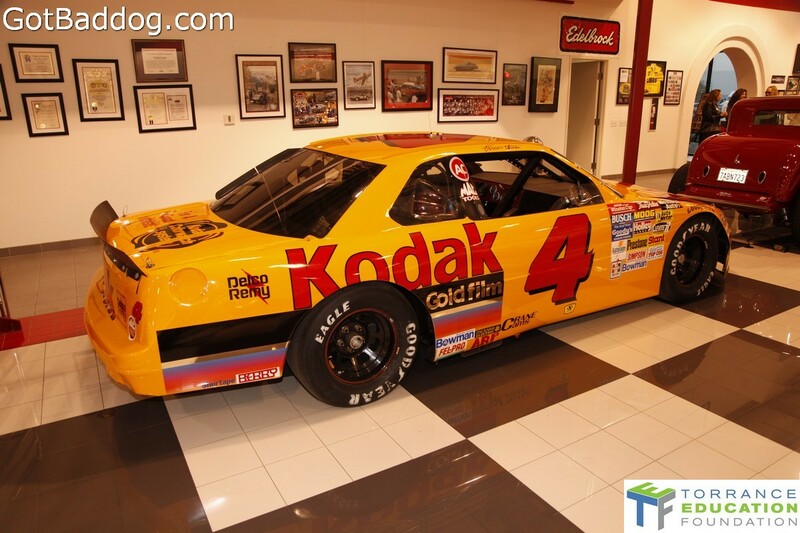 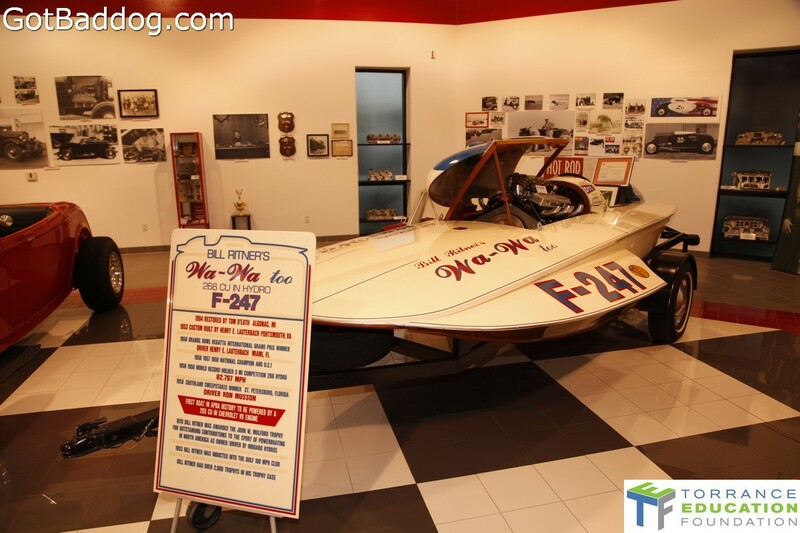 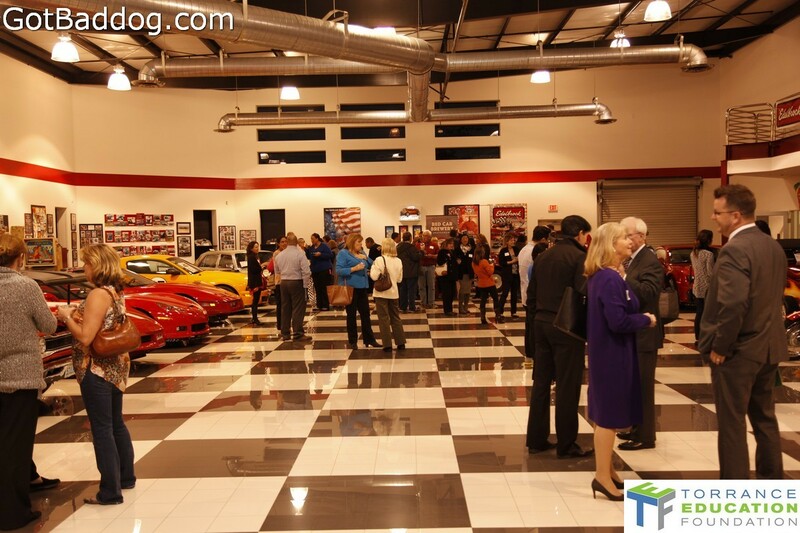 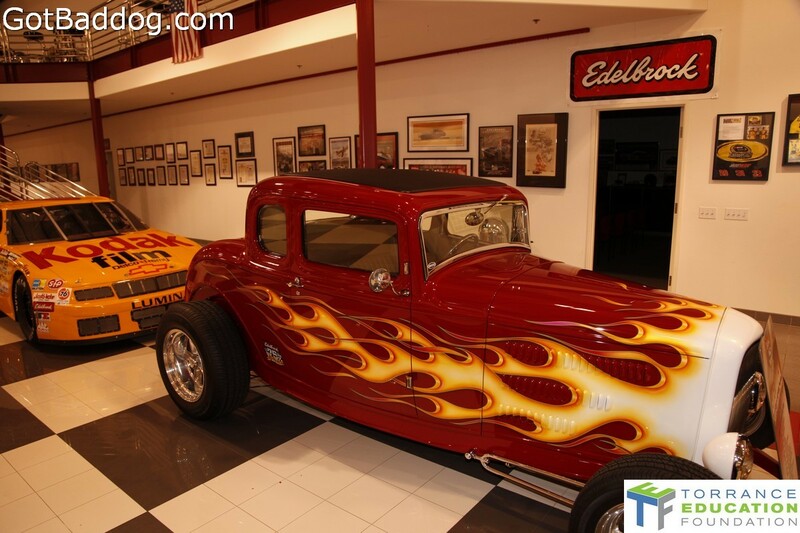 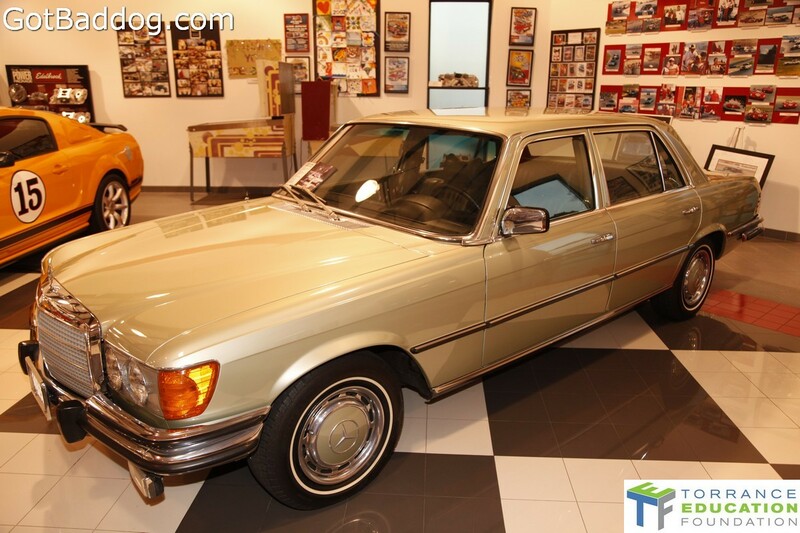 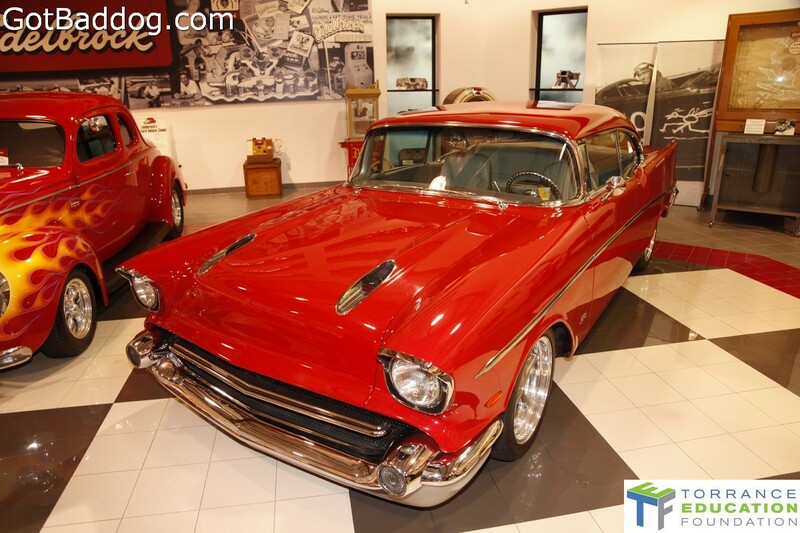 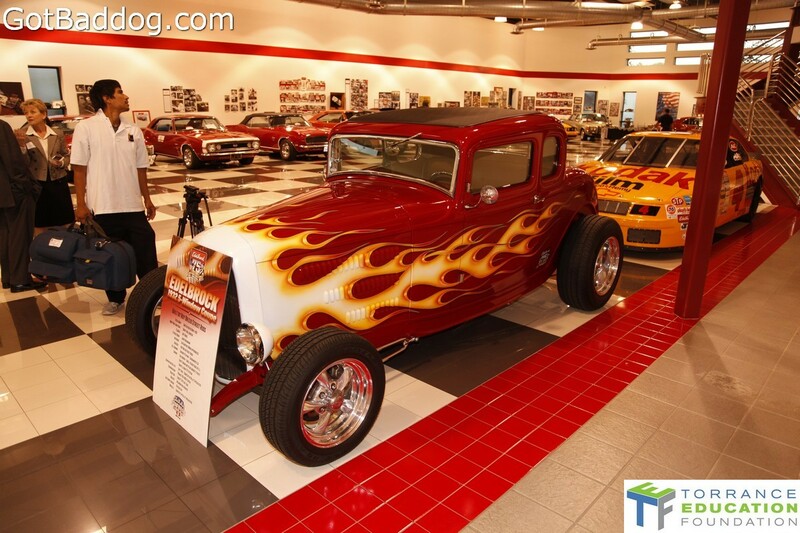 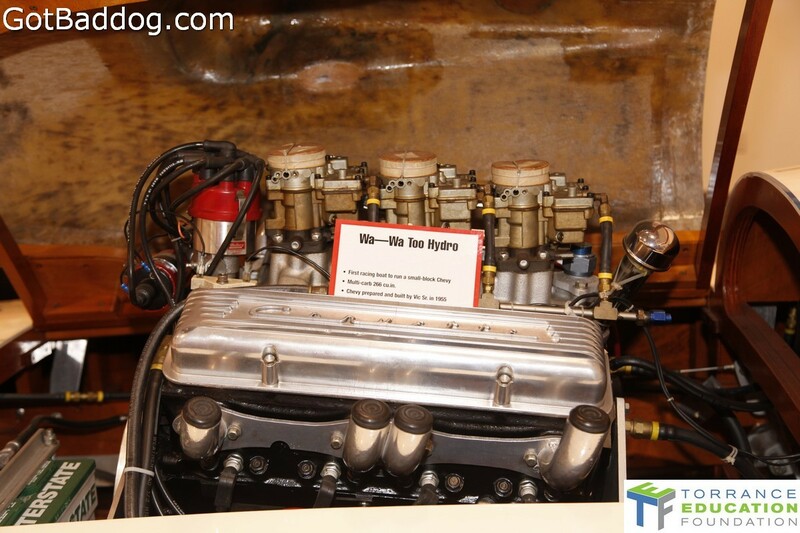 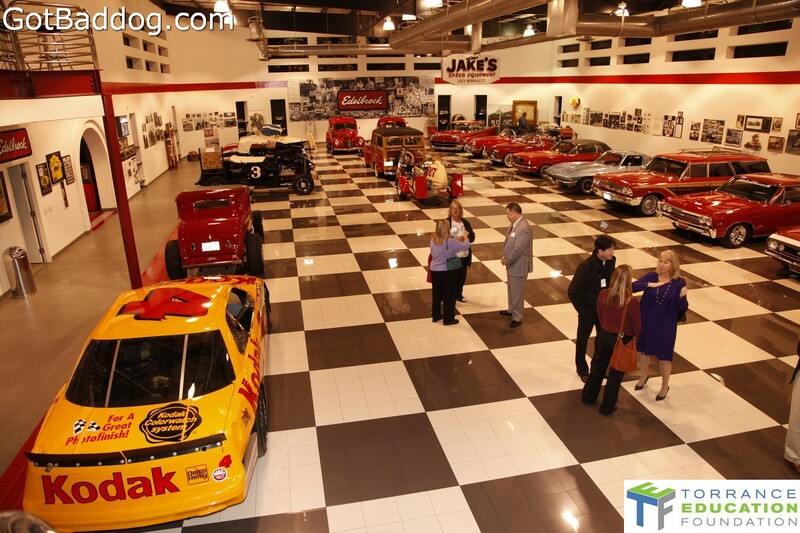 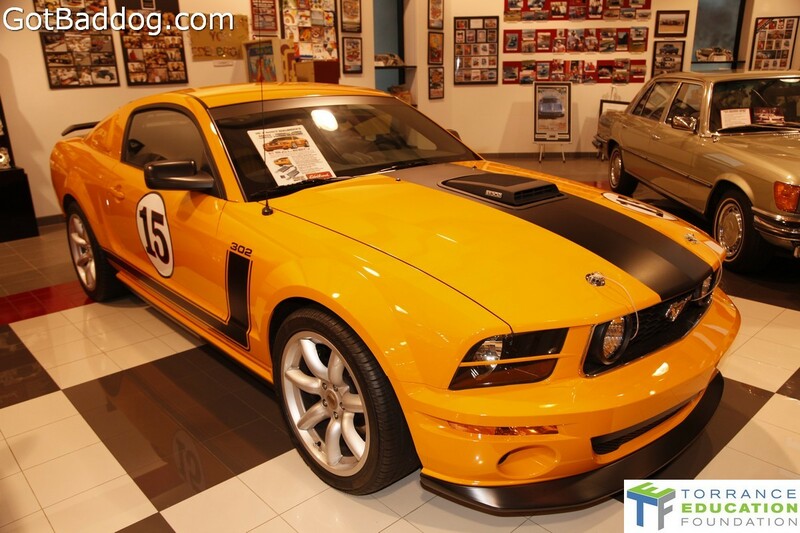 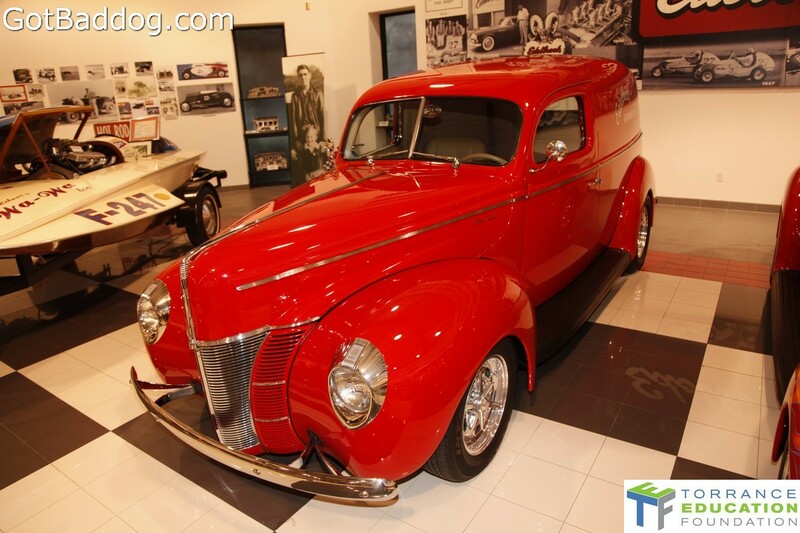 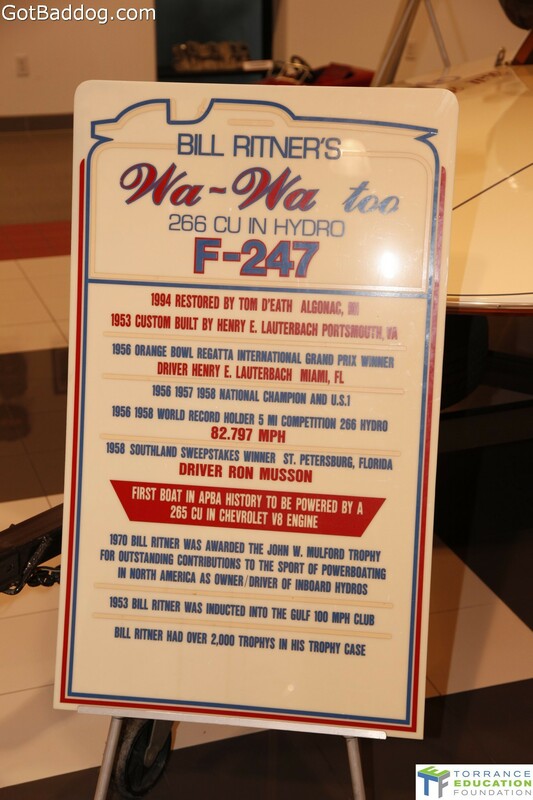 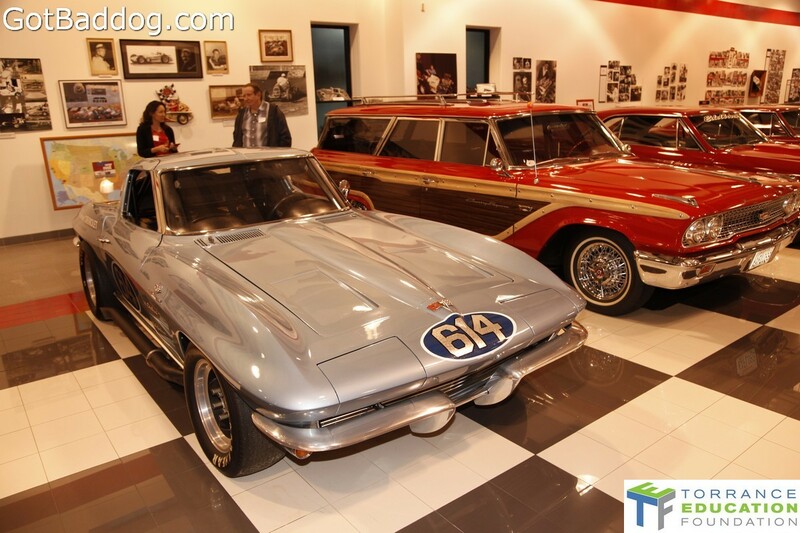 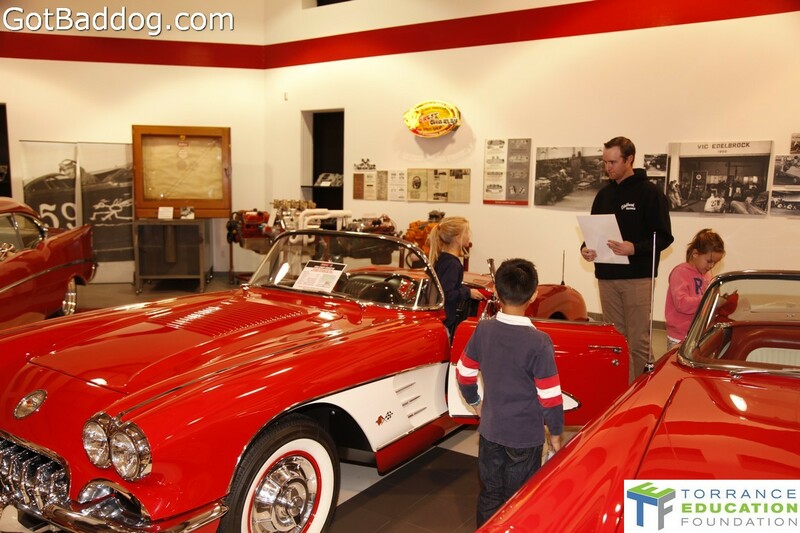 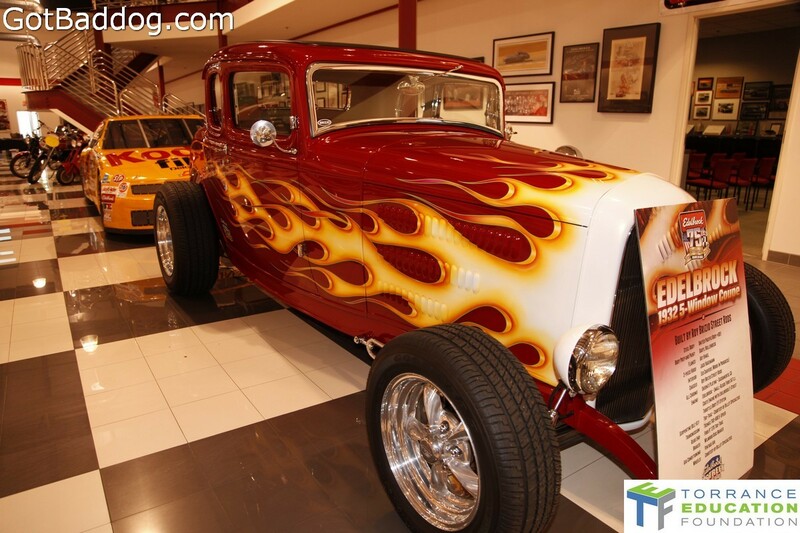 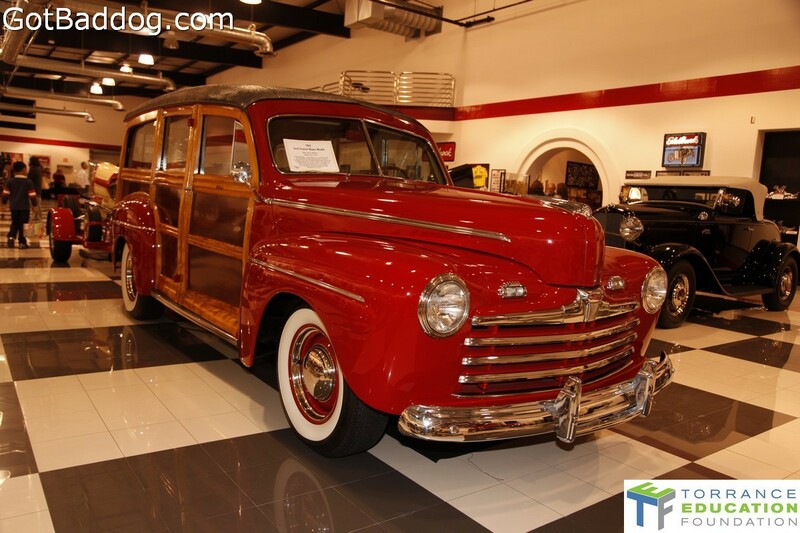 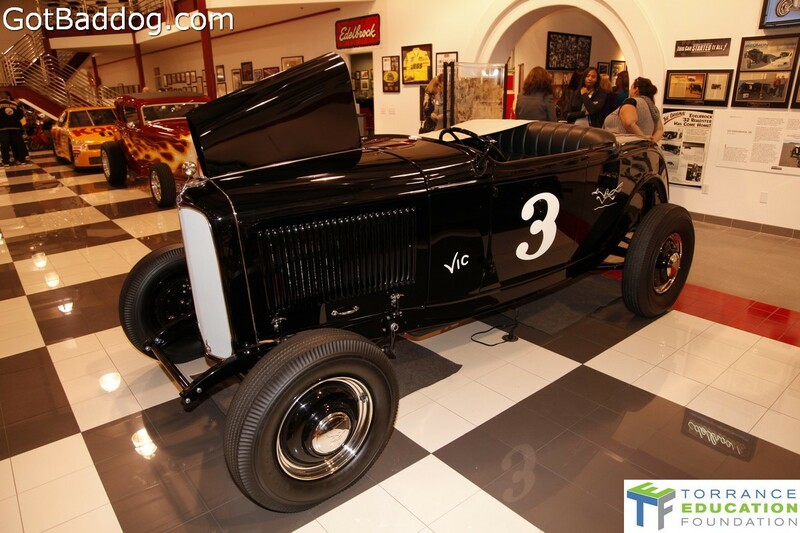 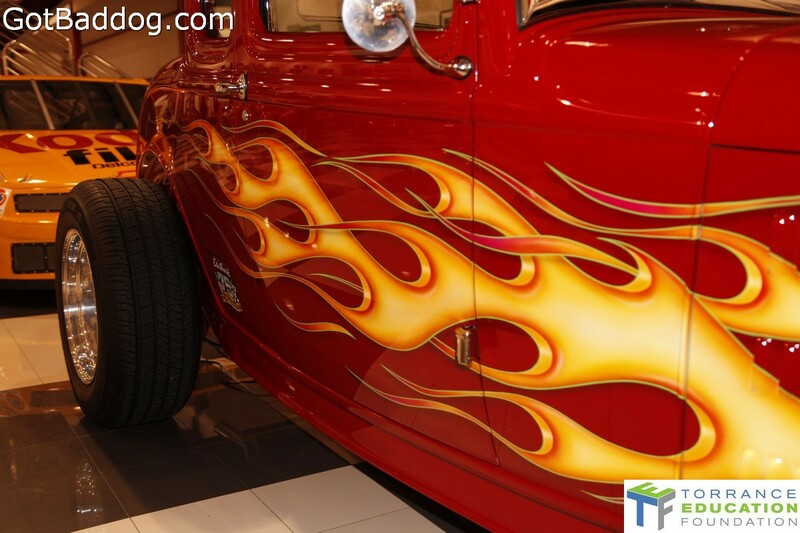 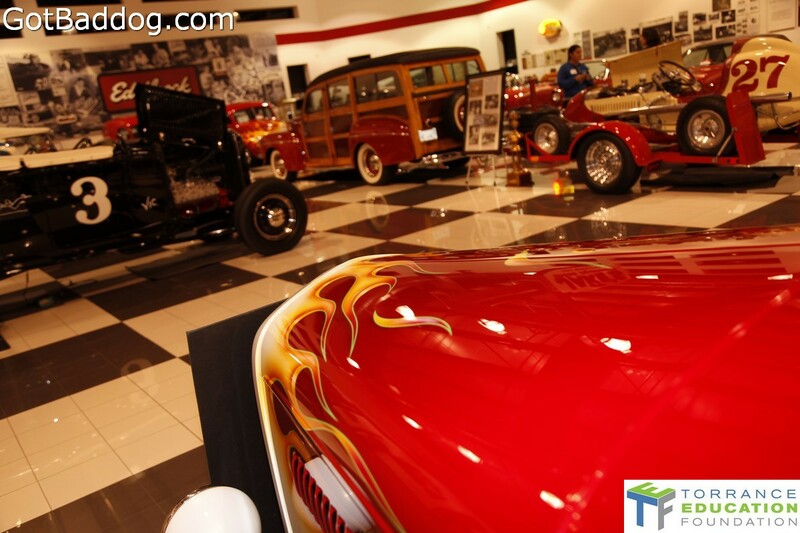 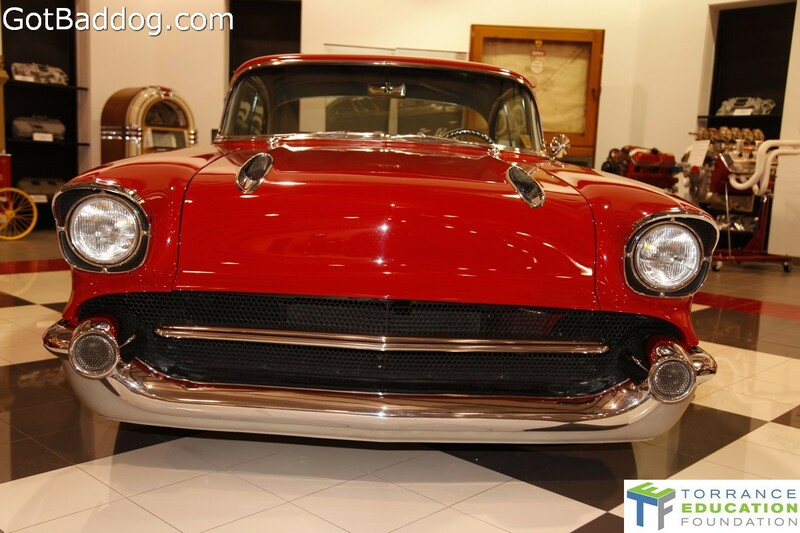 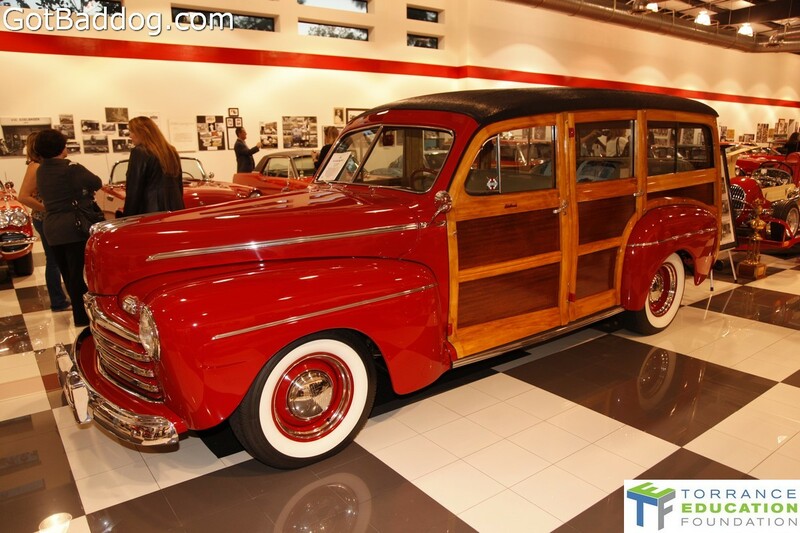 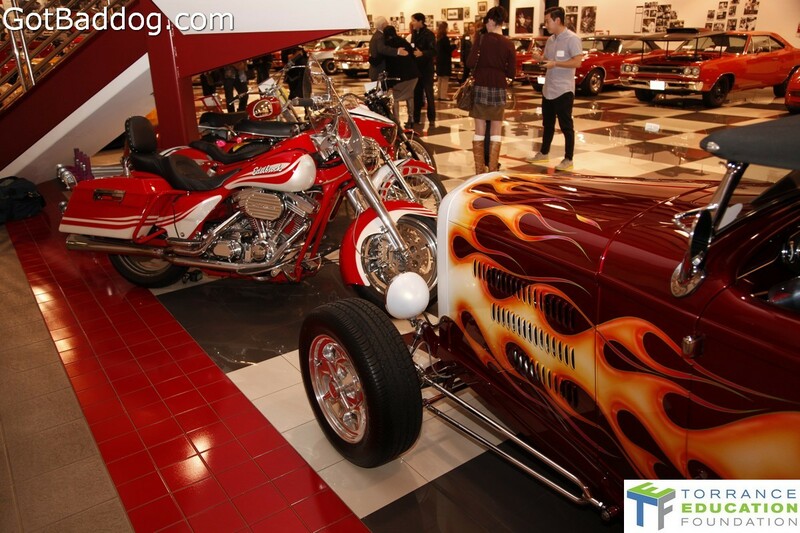 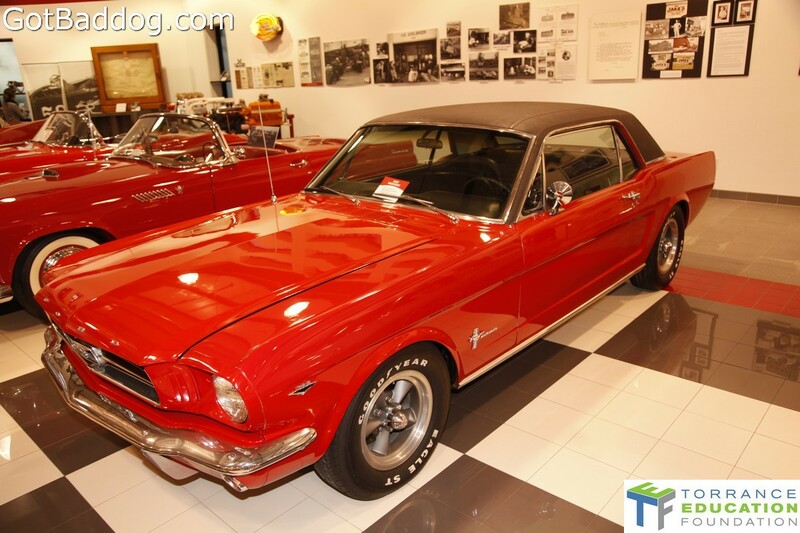 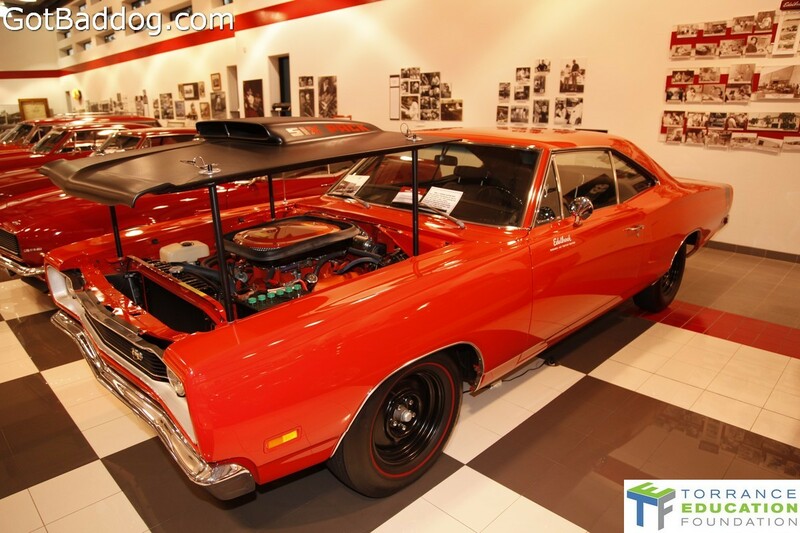 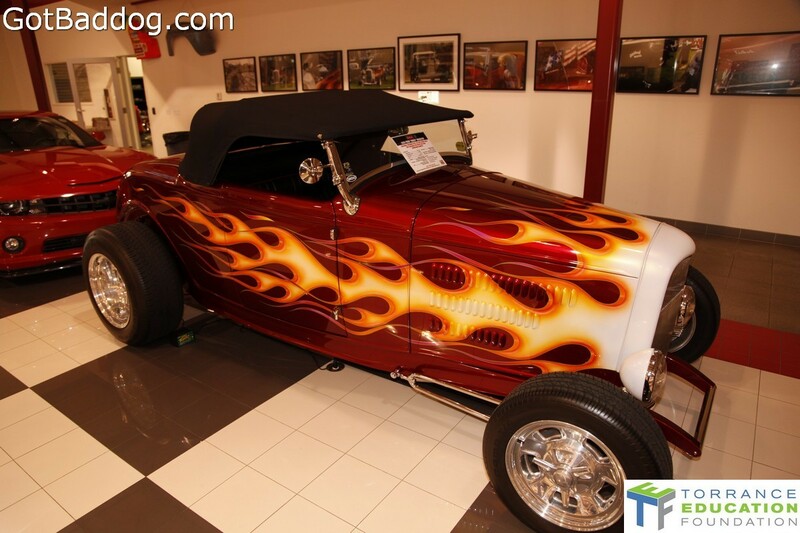 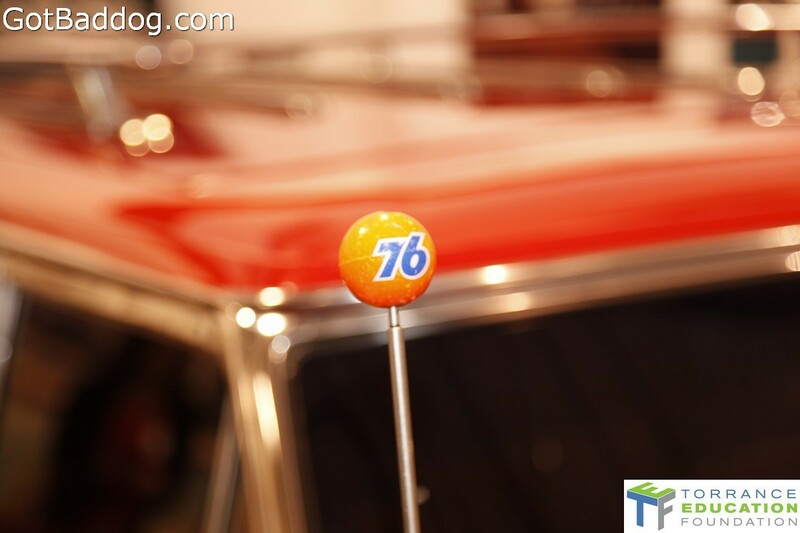 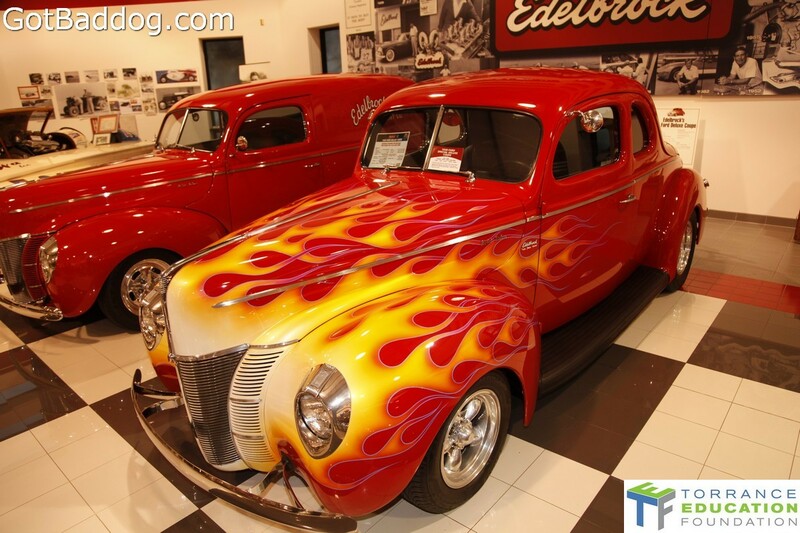 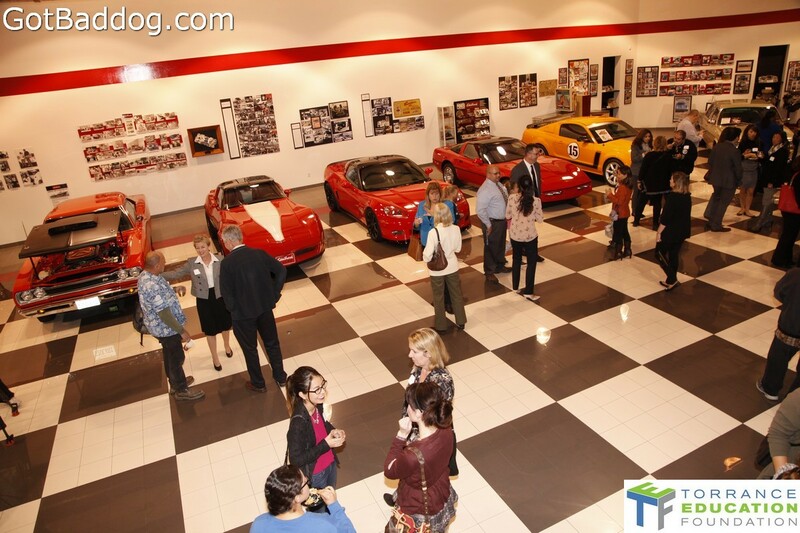 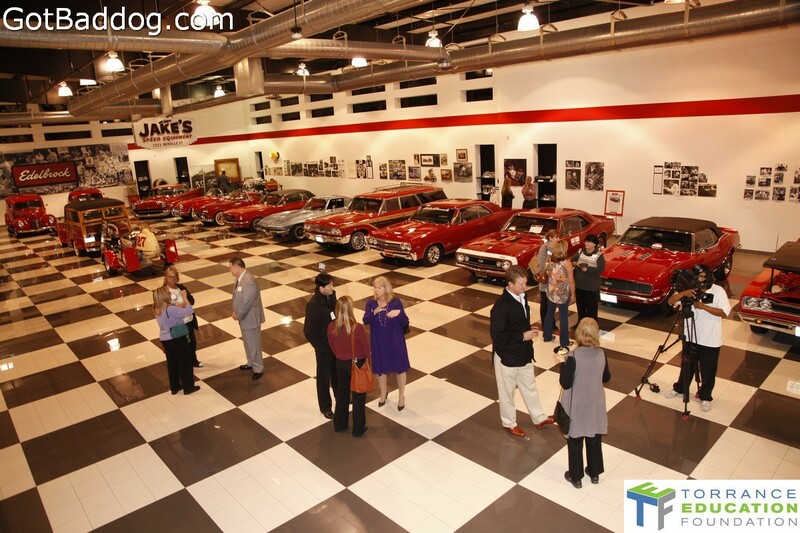 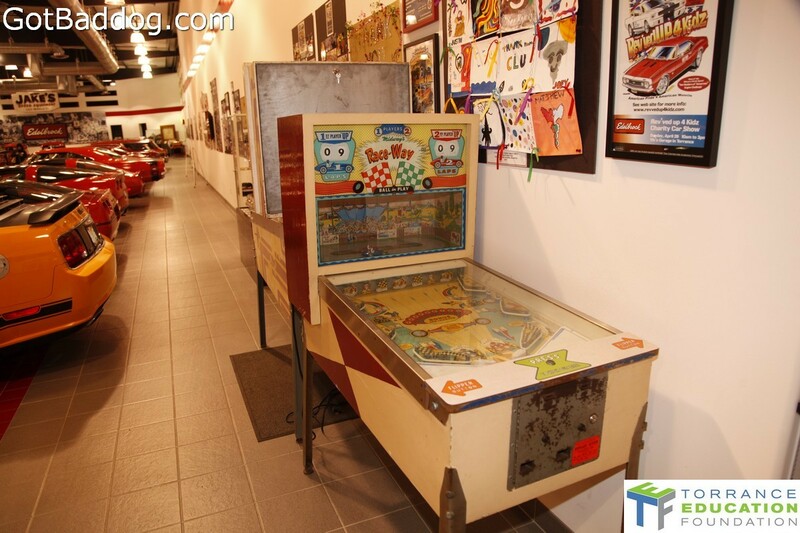 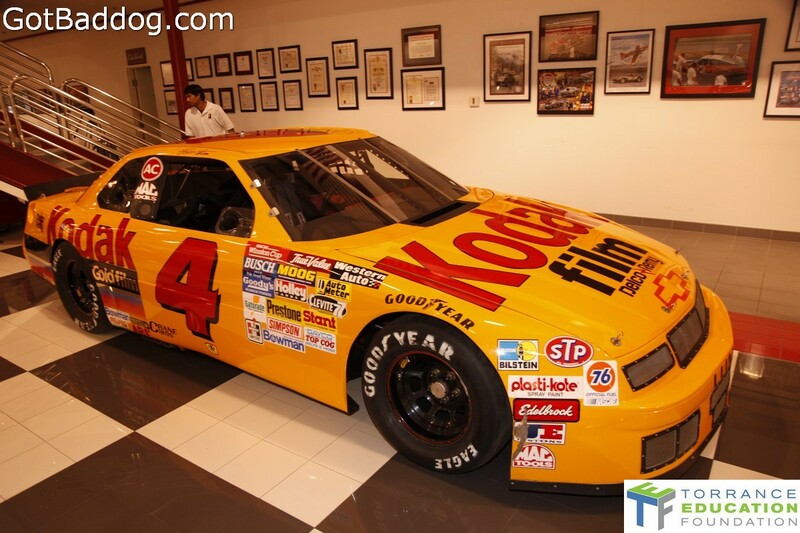 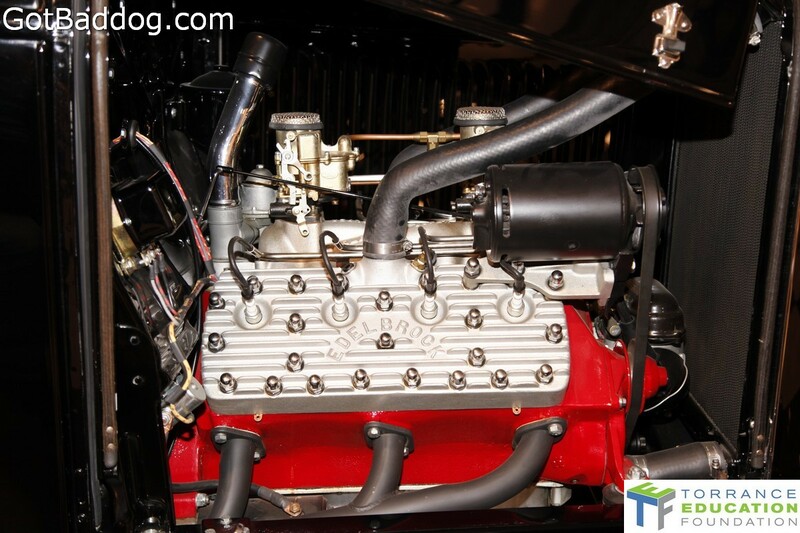 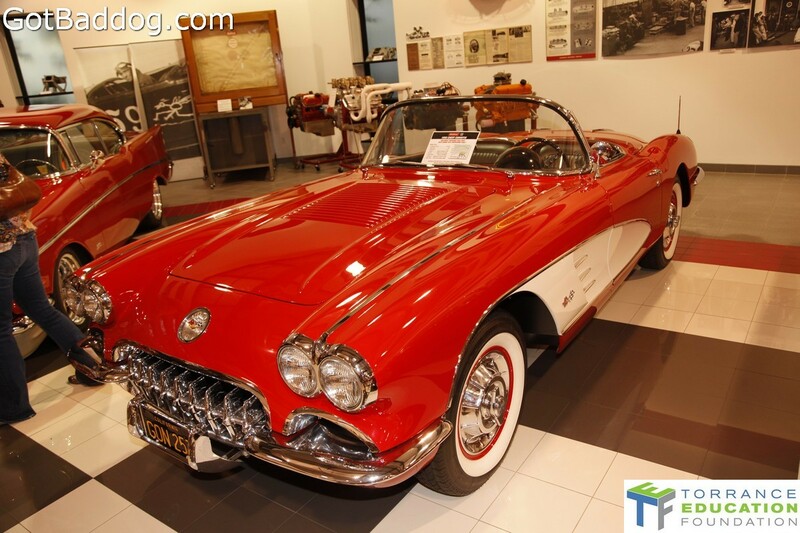 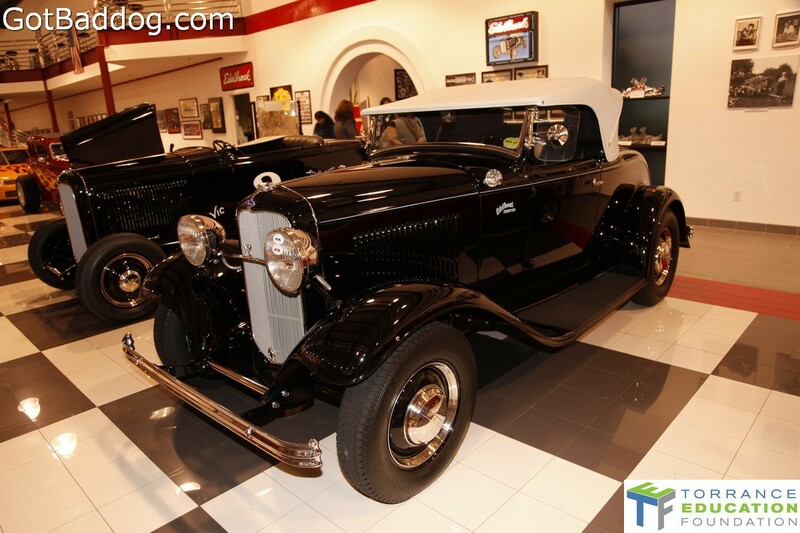 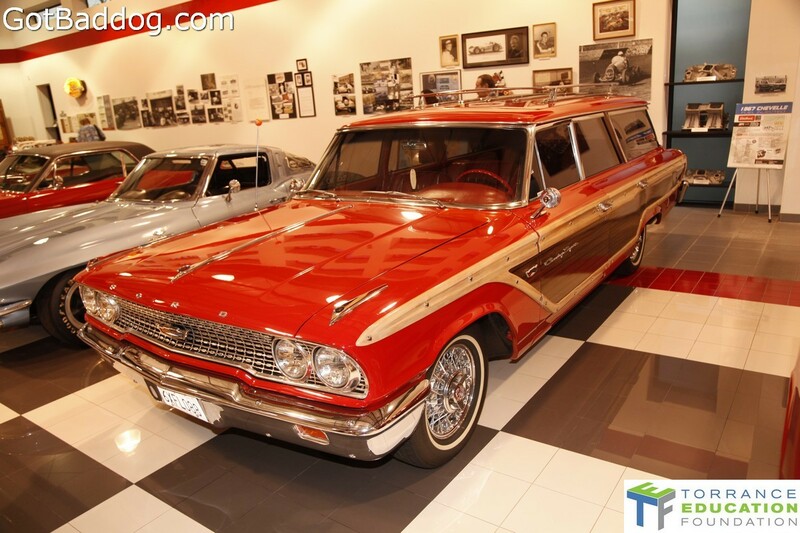 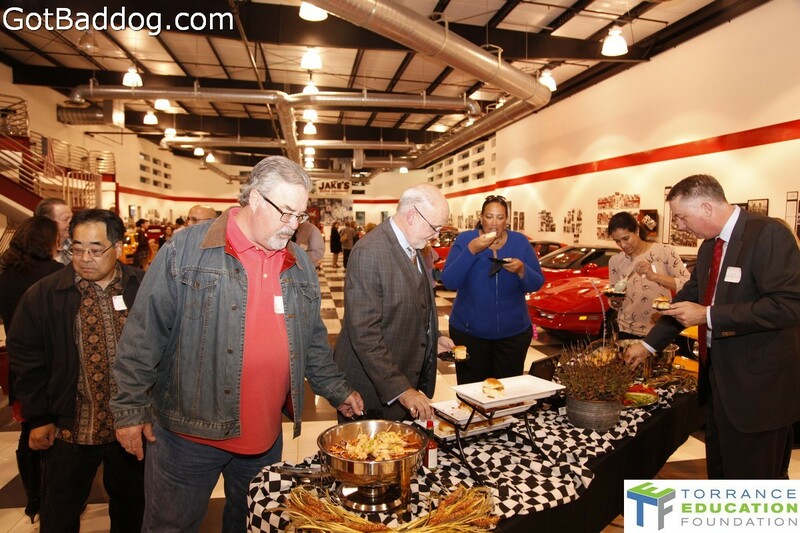 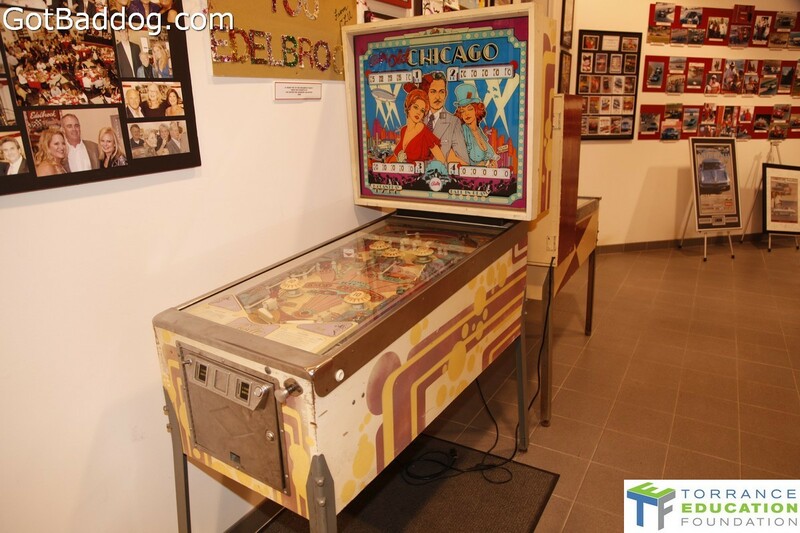 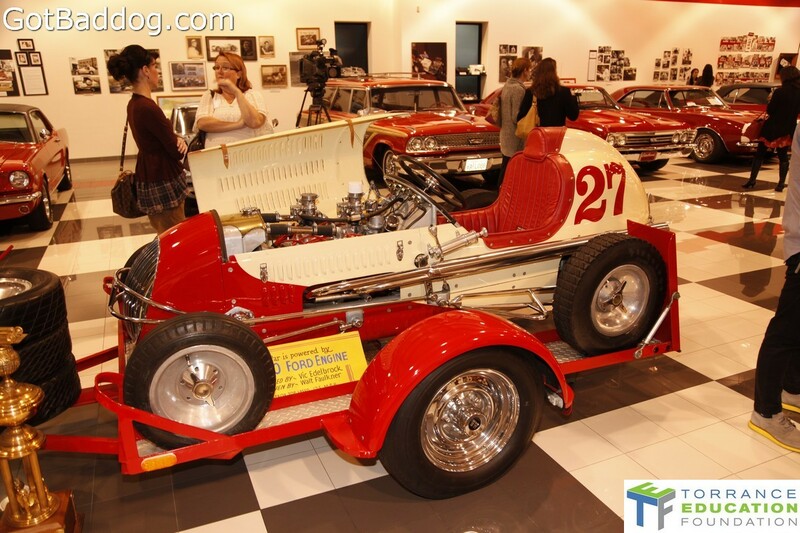 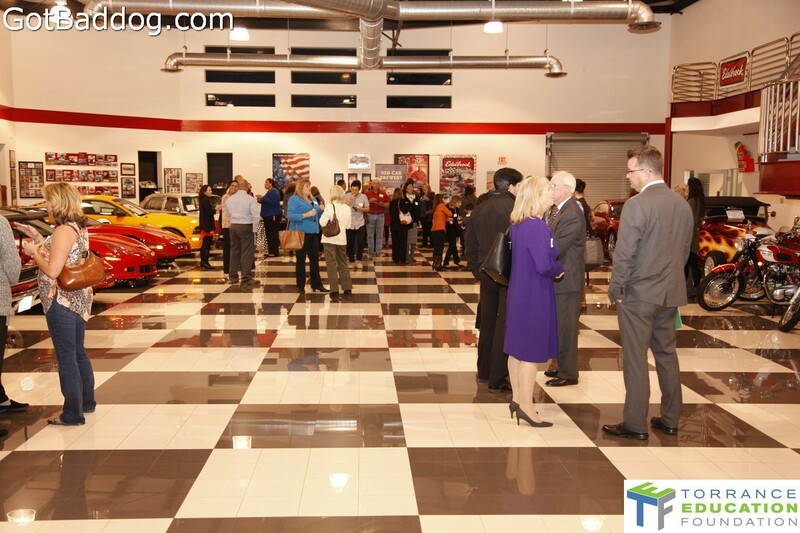 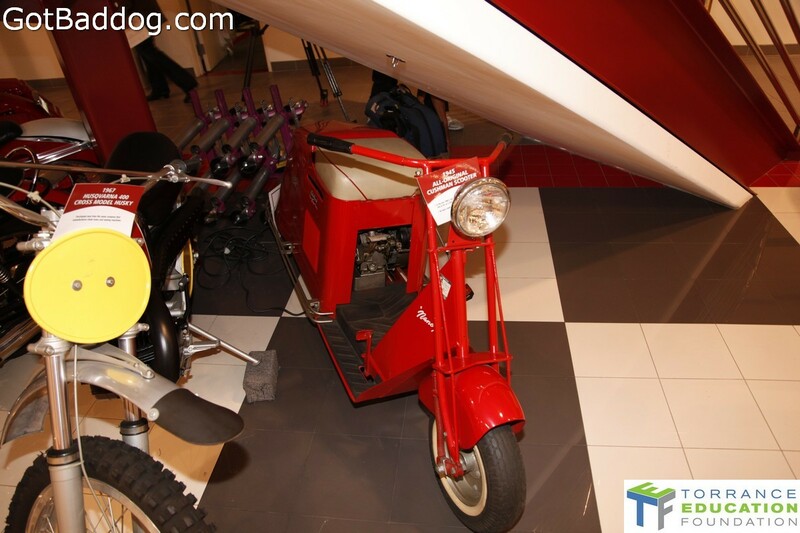 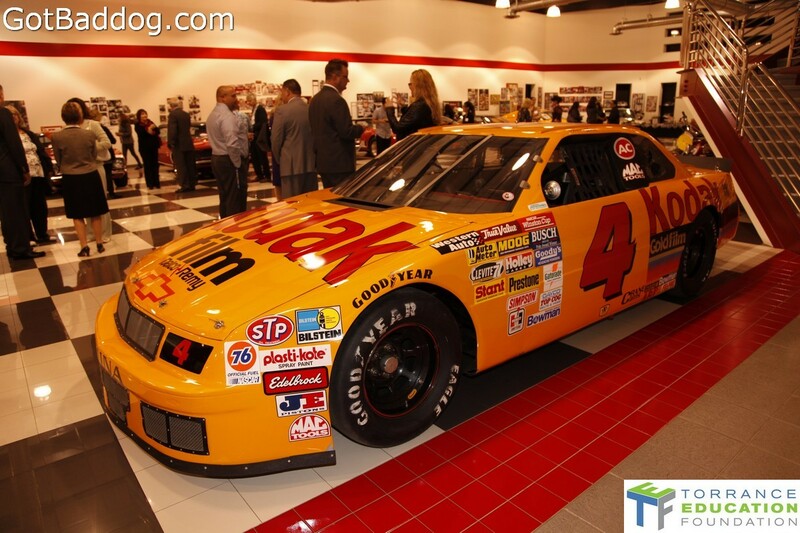 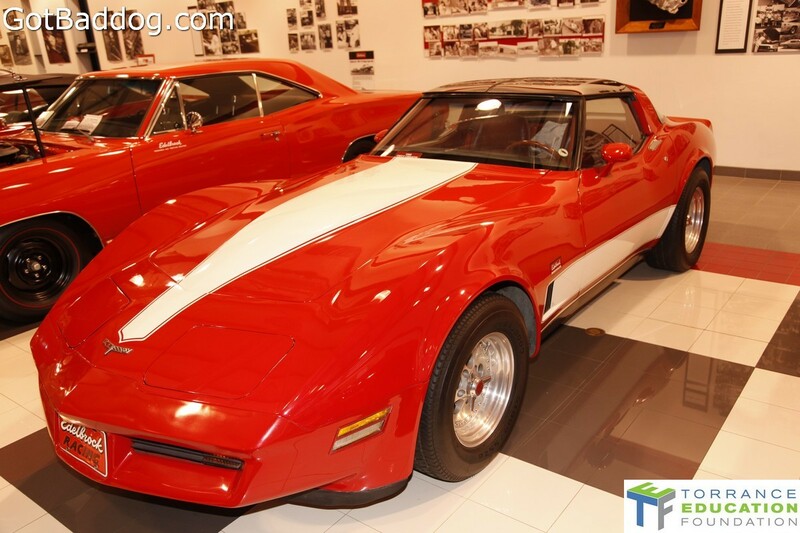 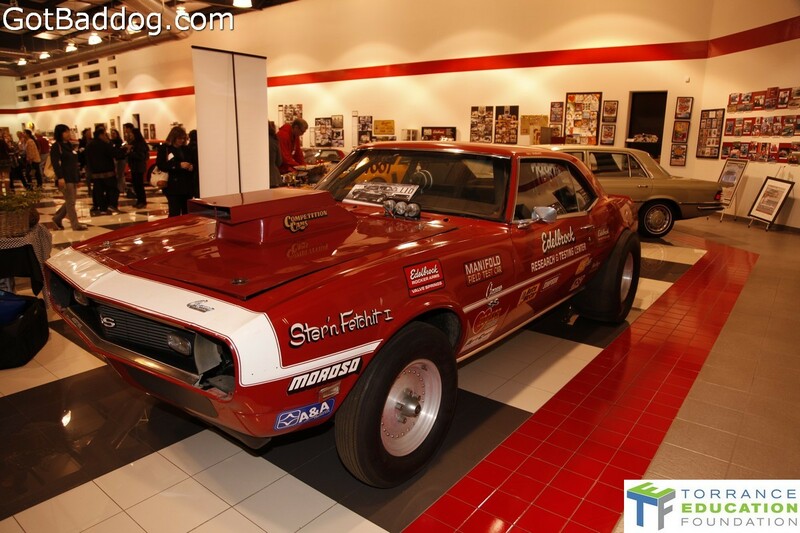 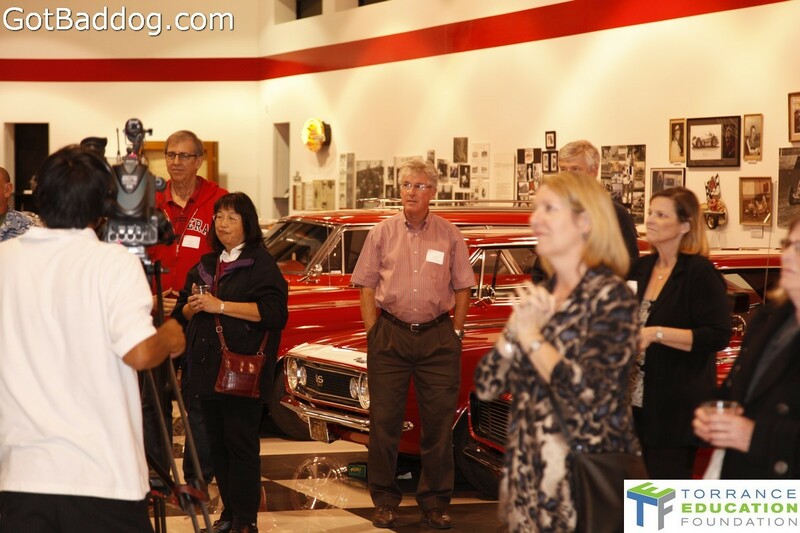 Vic’s Garage is a very cool place to hold a reception like this one as there is something for everyone as far as cars are concerned; it is essentially an Edelbrock museum of test vehicles and original race cars. 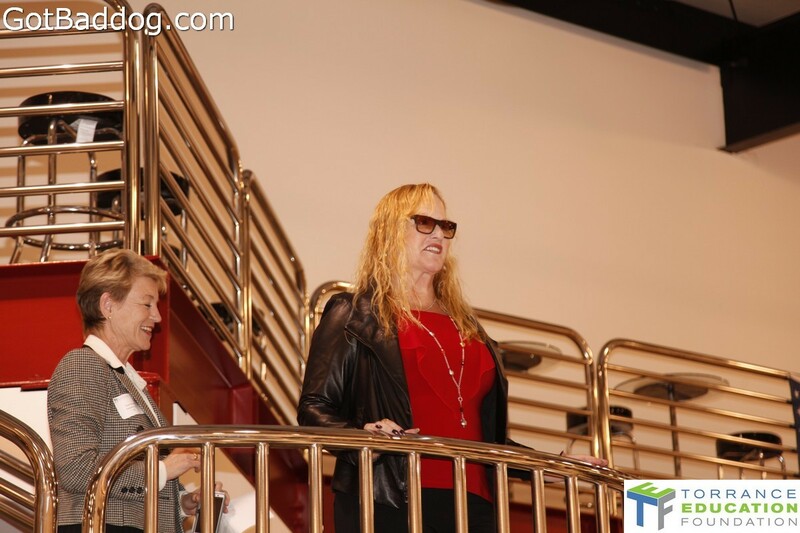 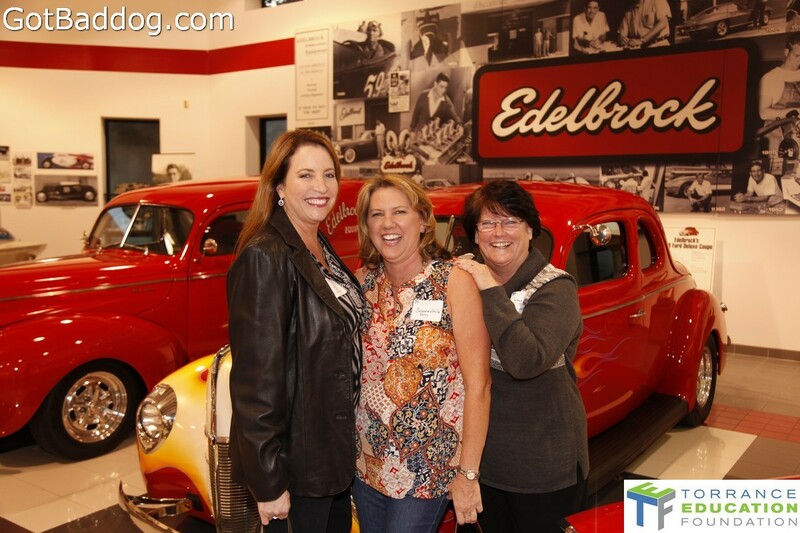 Christi Edelbrock told us a little about the history of her grandfather and how the family stayed involved; she also told the gathering about the Edelbrock Family Foundation. 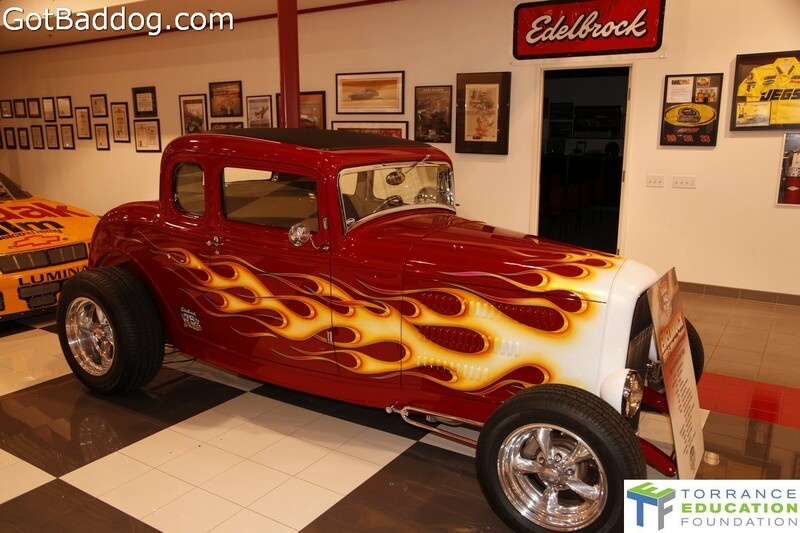 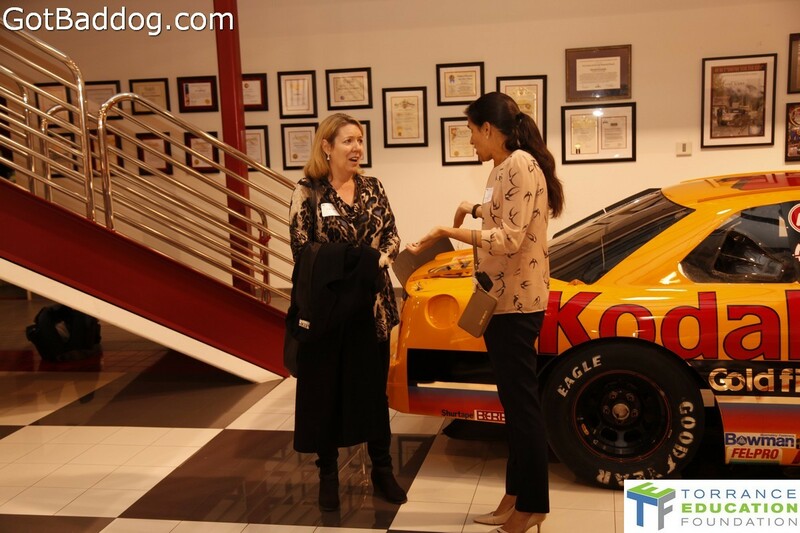 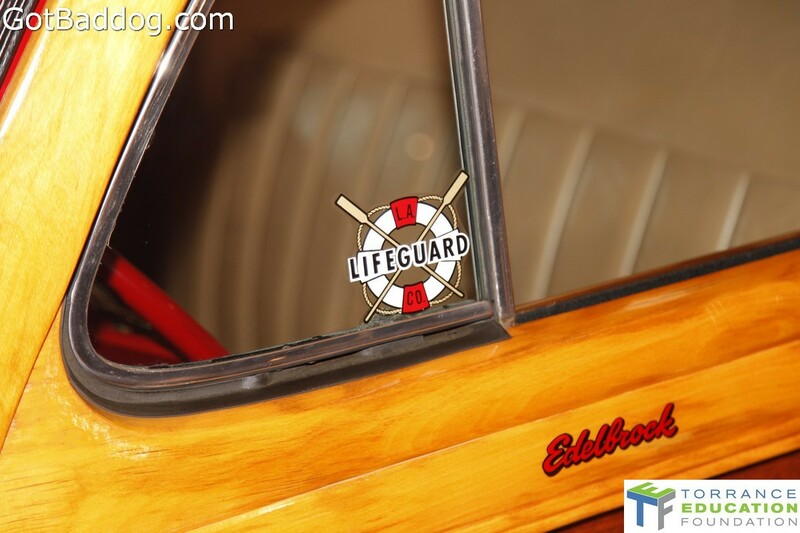 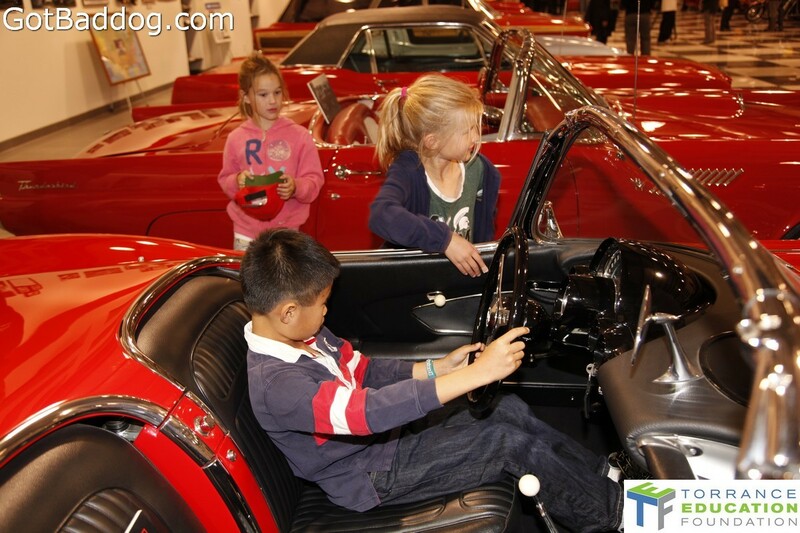 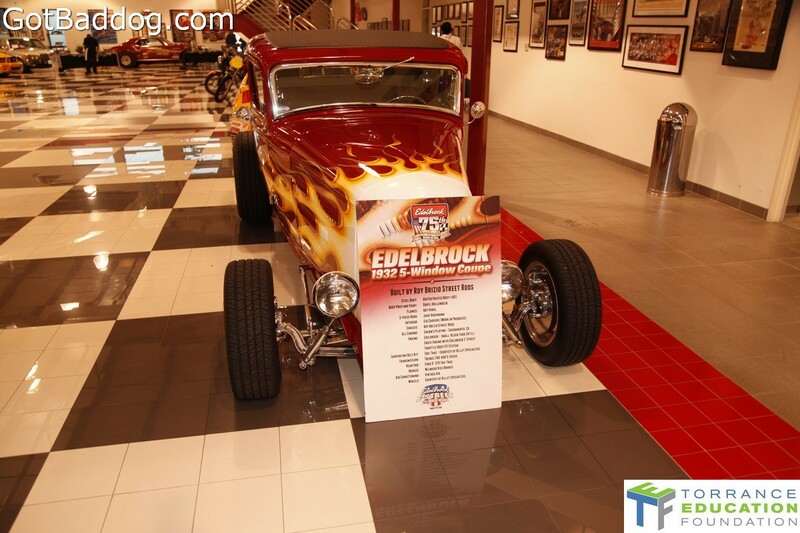 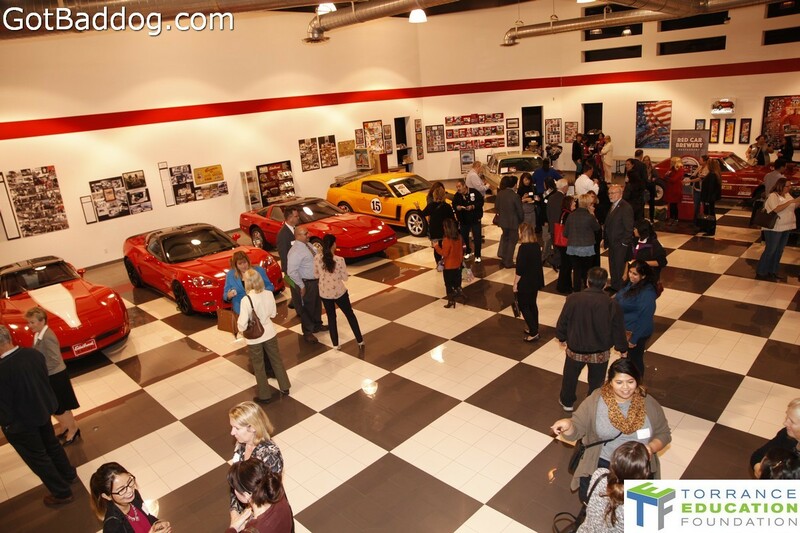 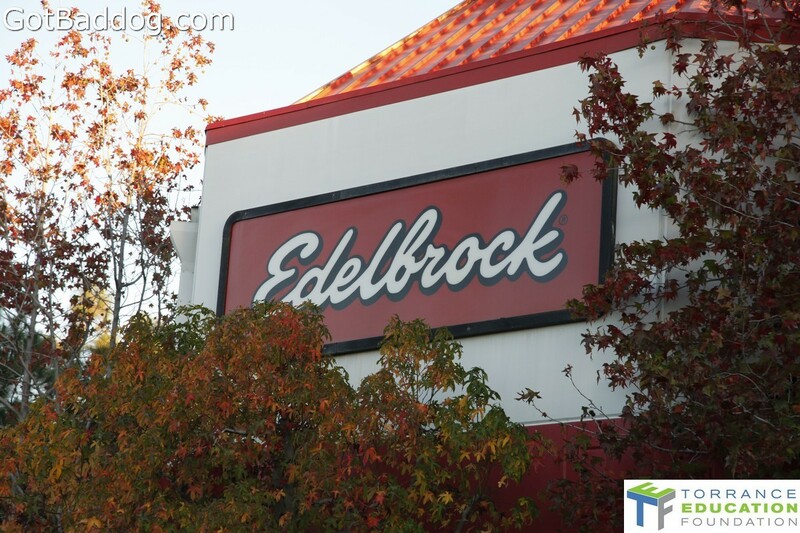 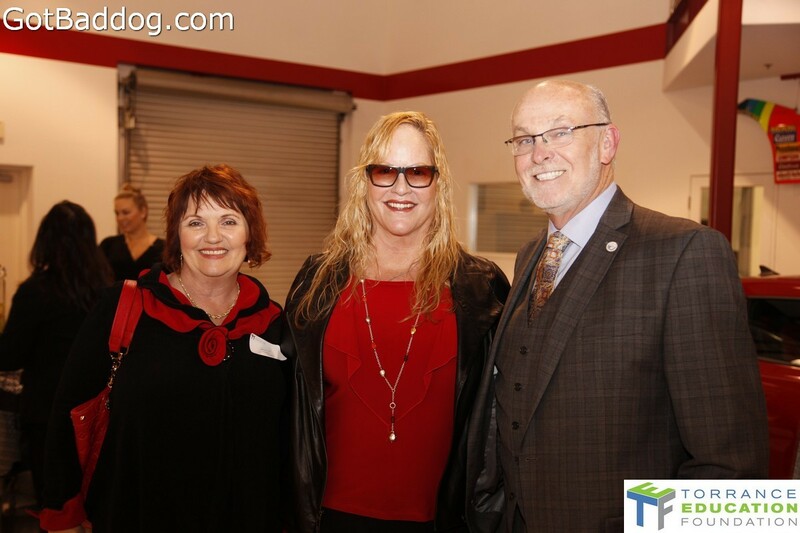 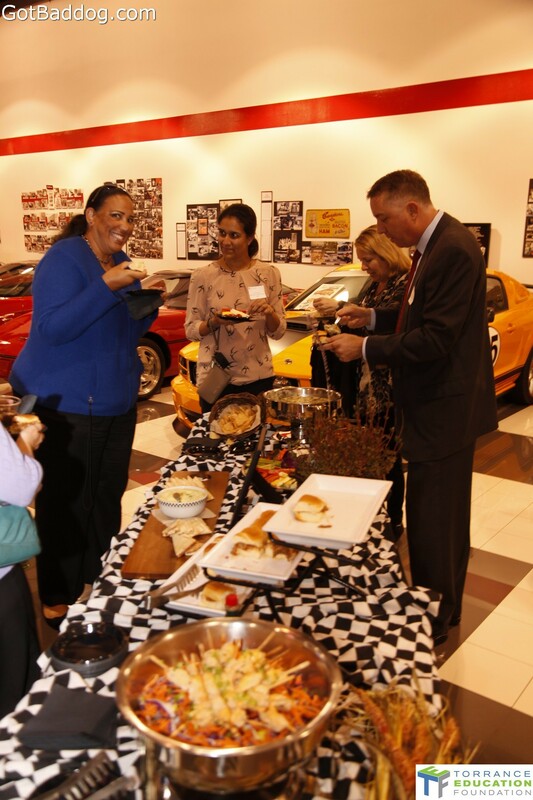 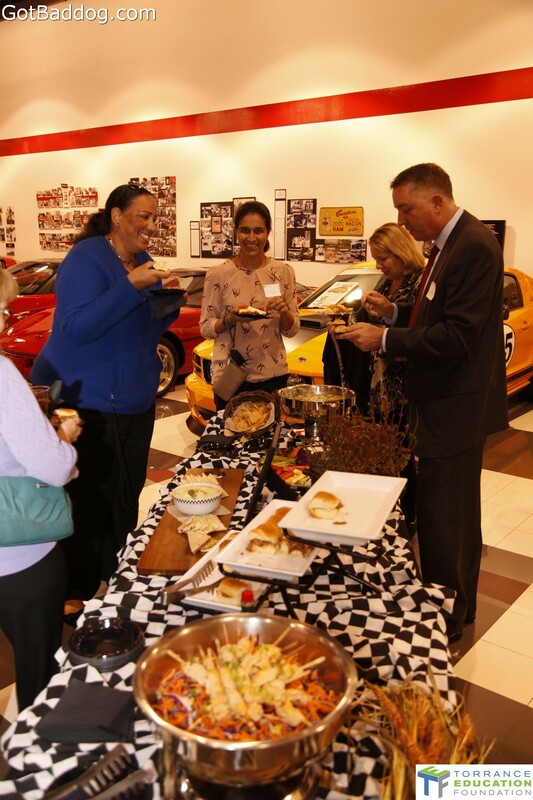 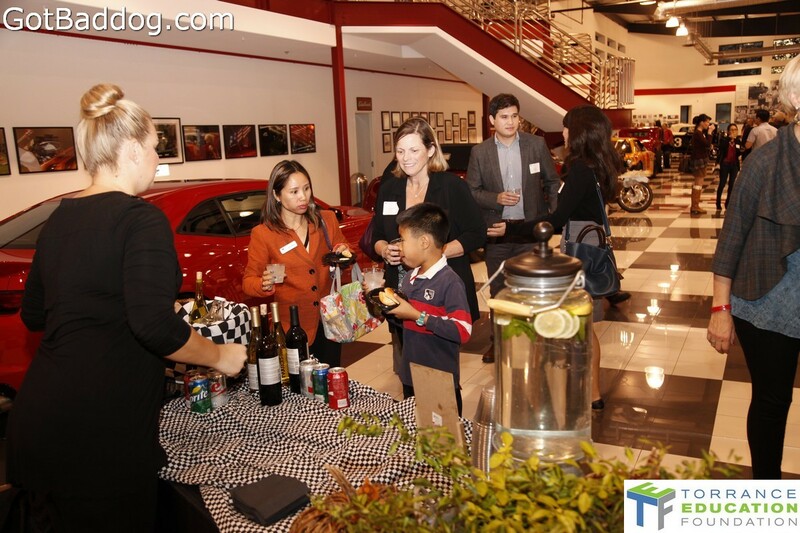 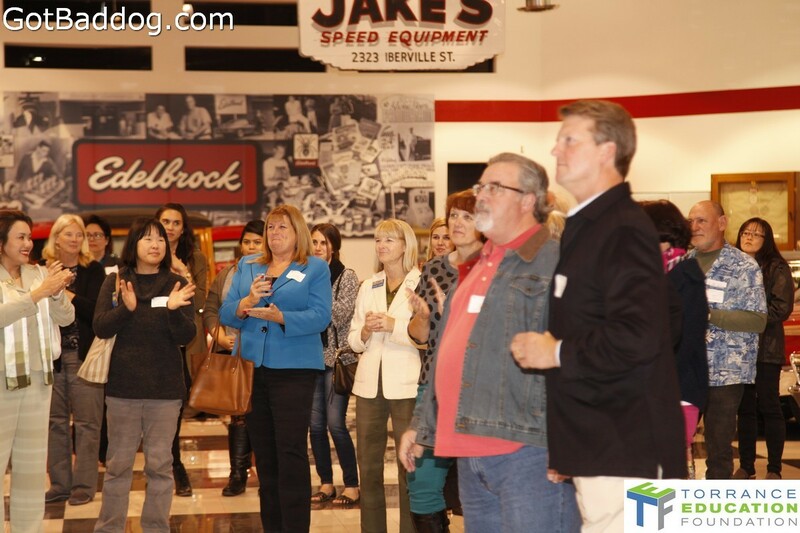 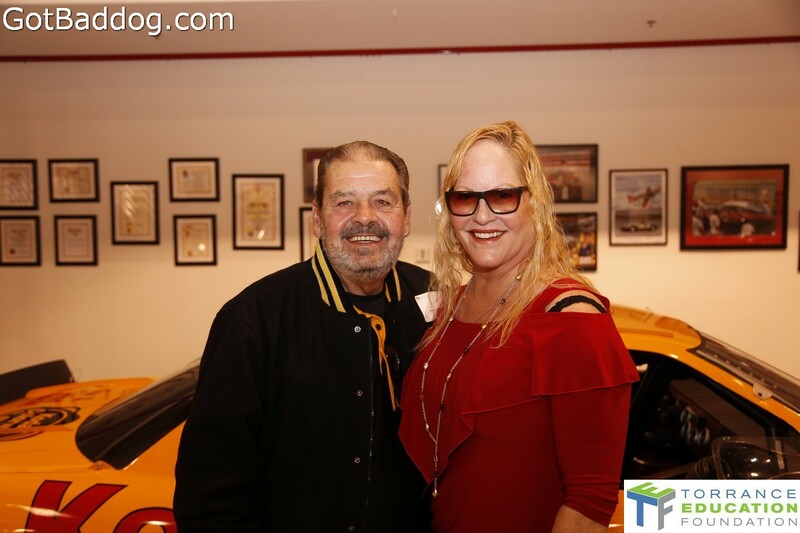 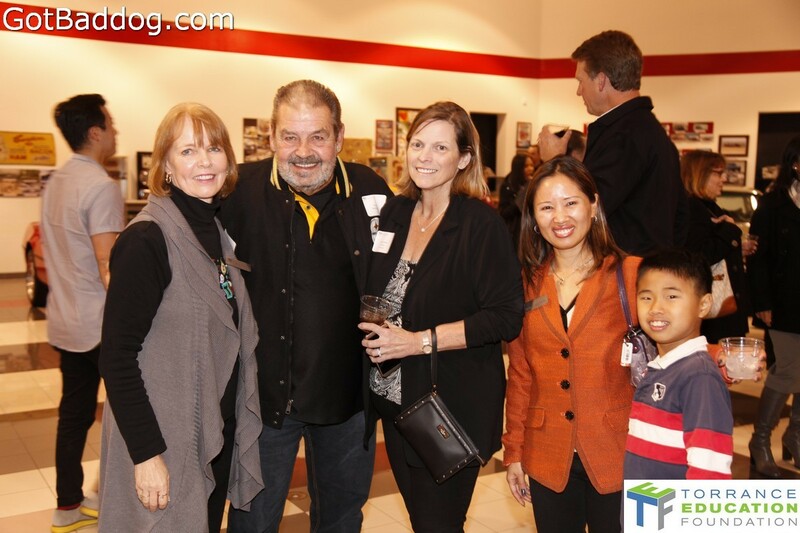 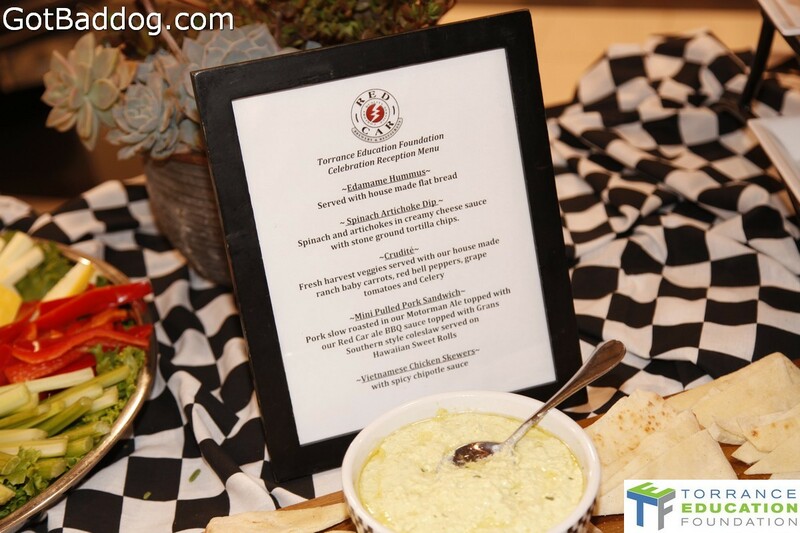 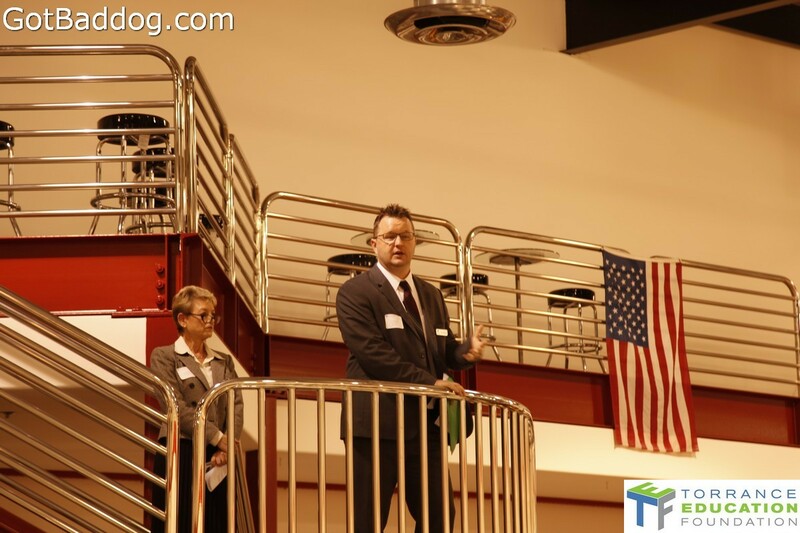 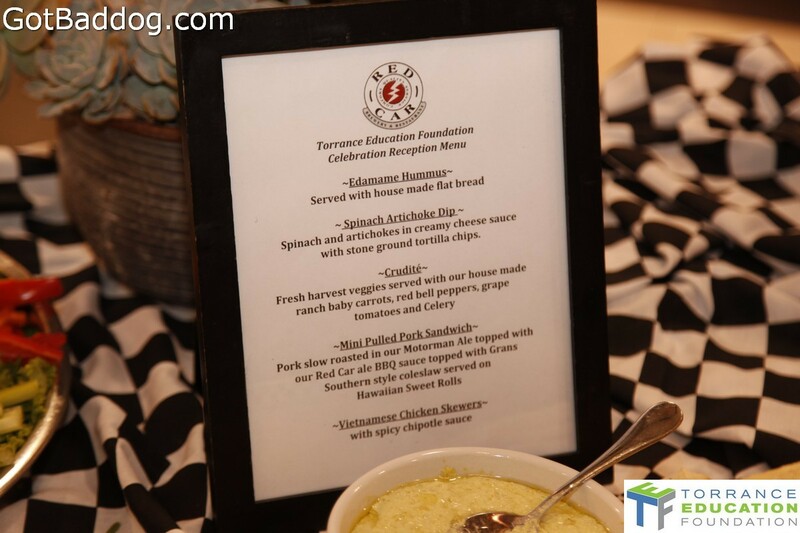 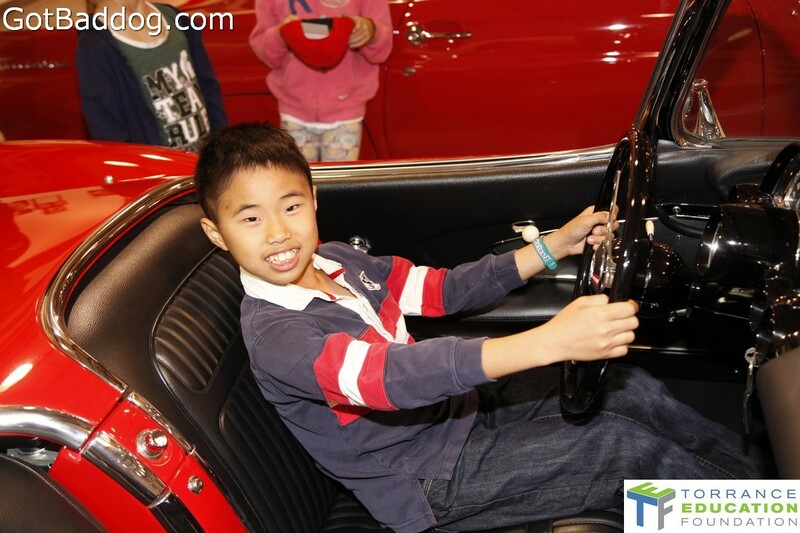 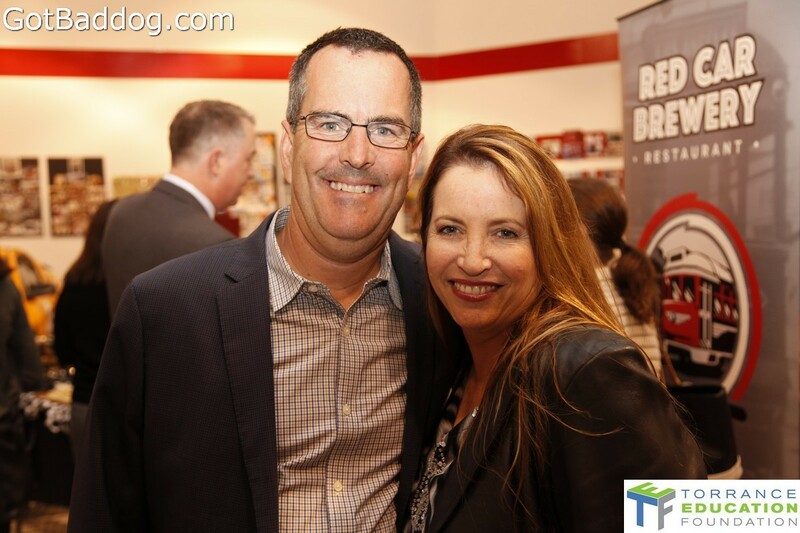 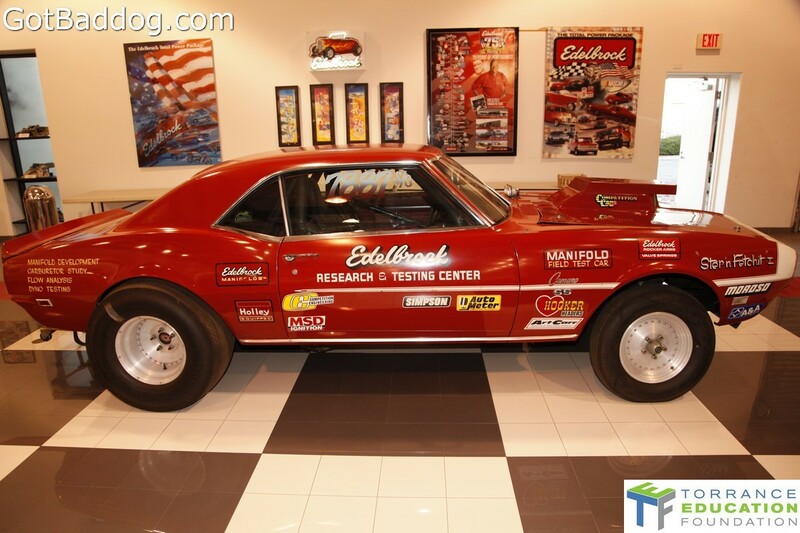 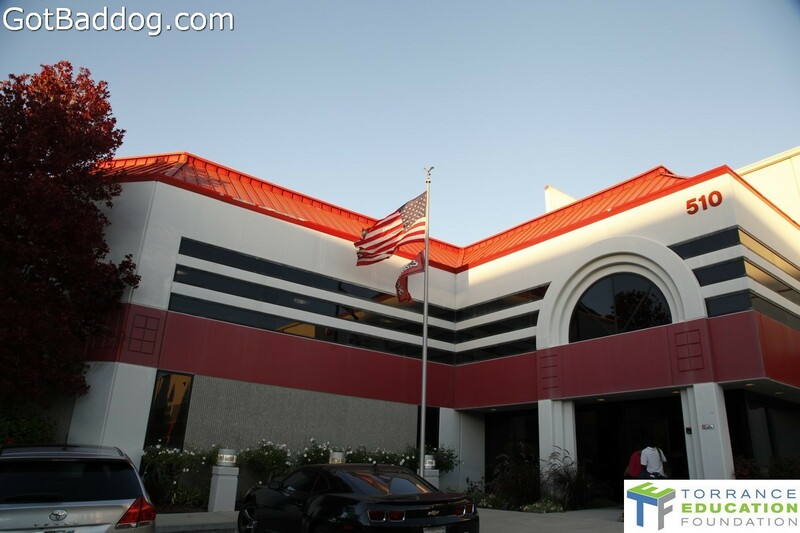 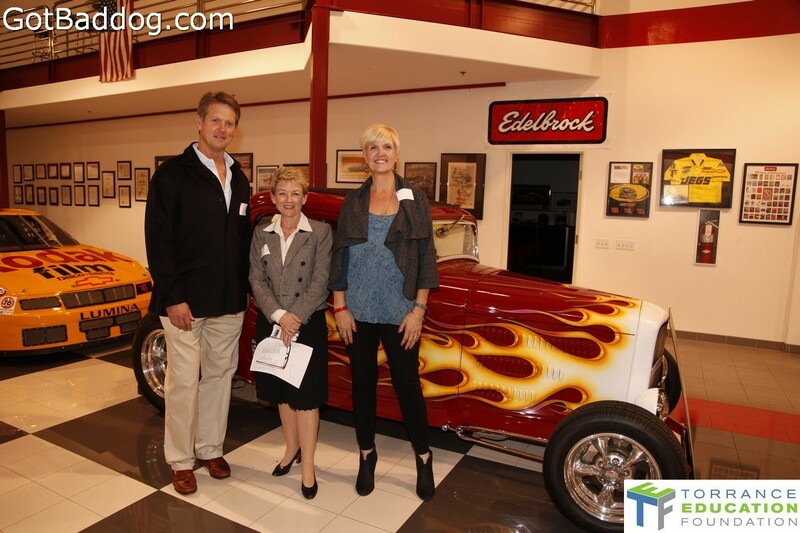 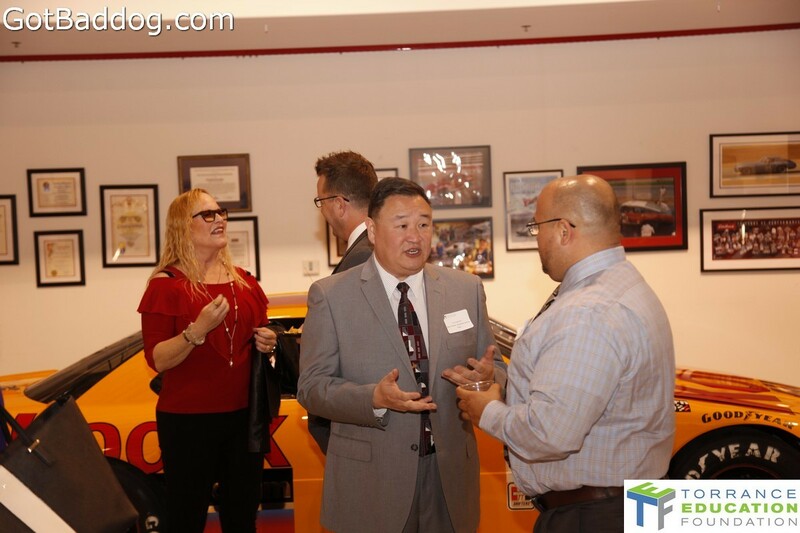 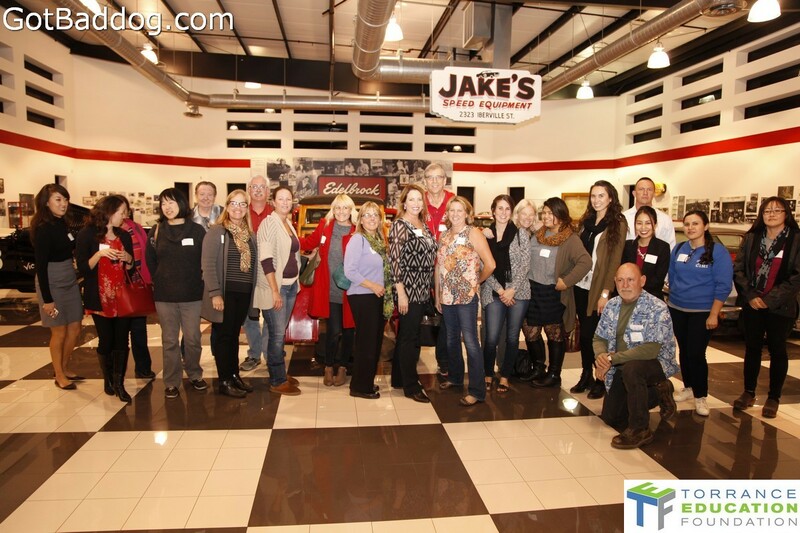 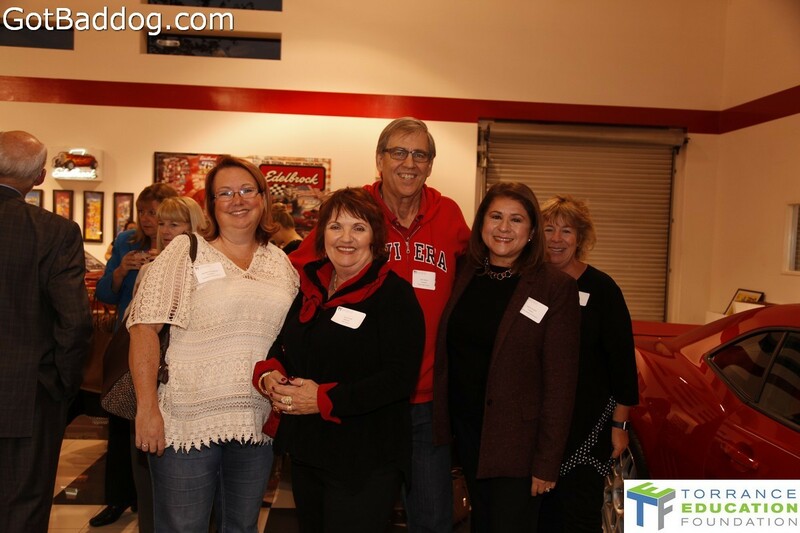 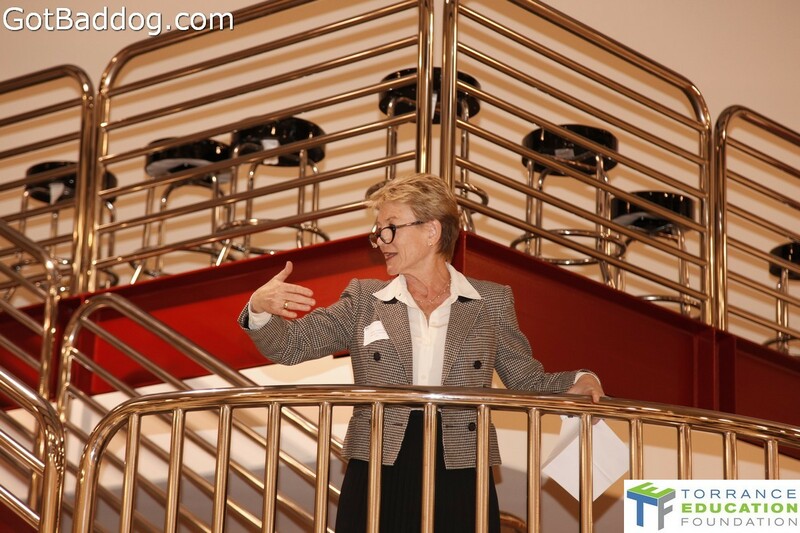 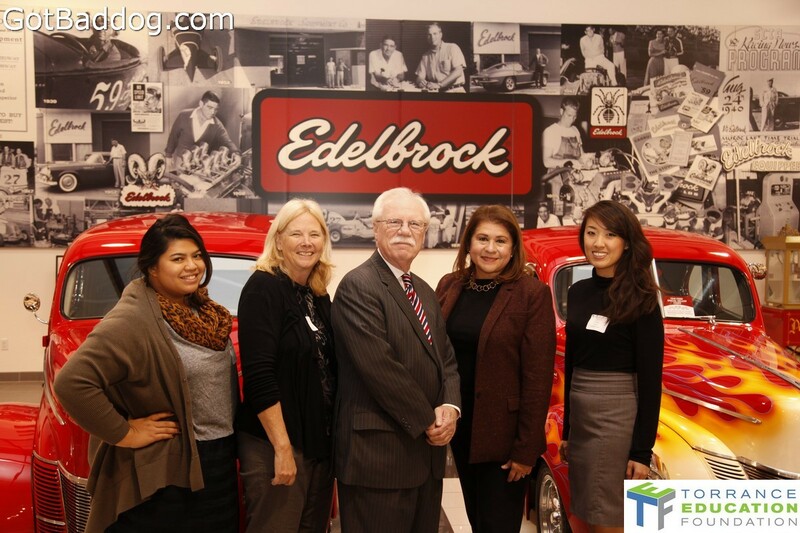 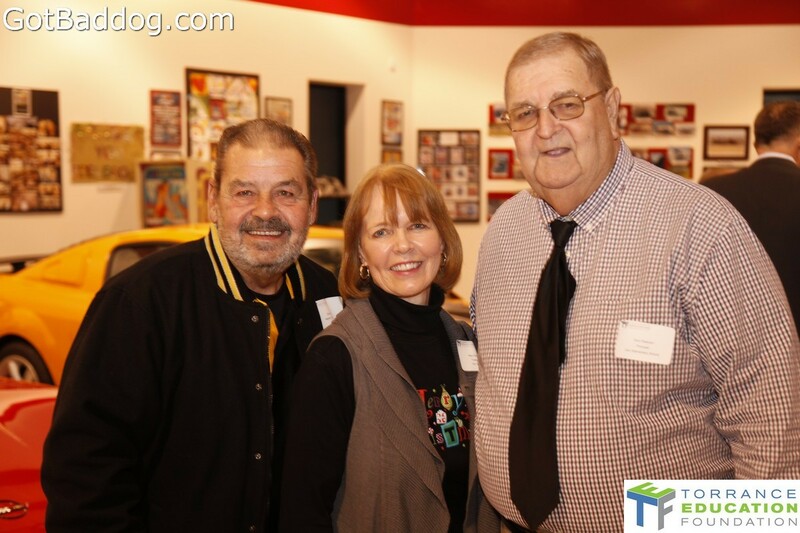 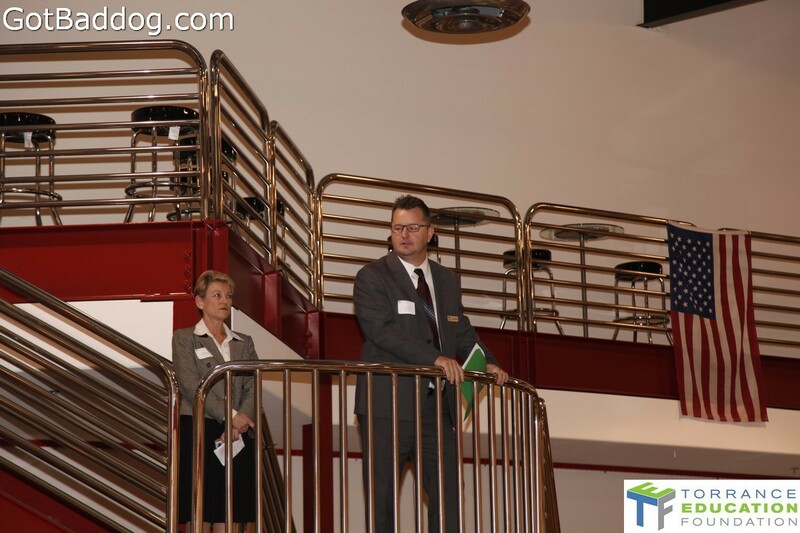 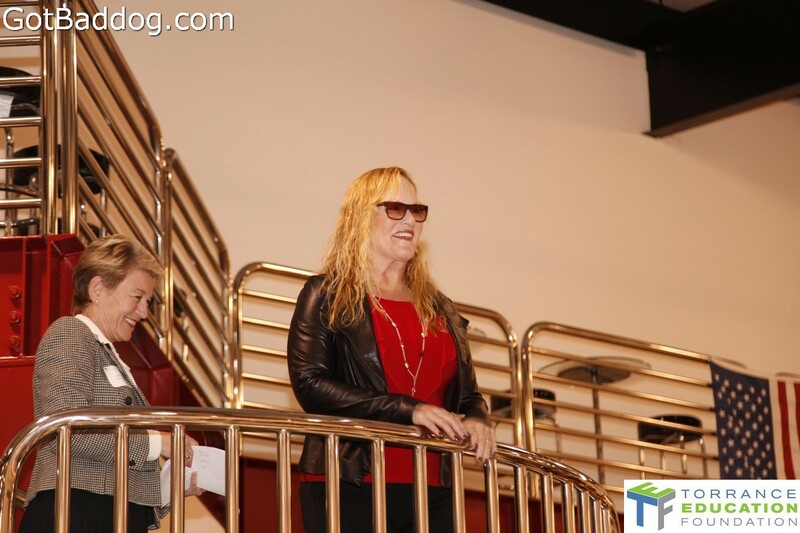 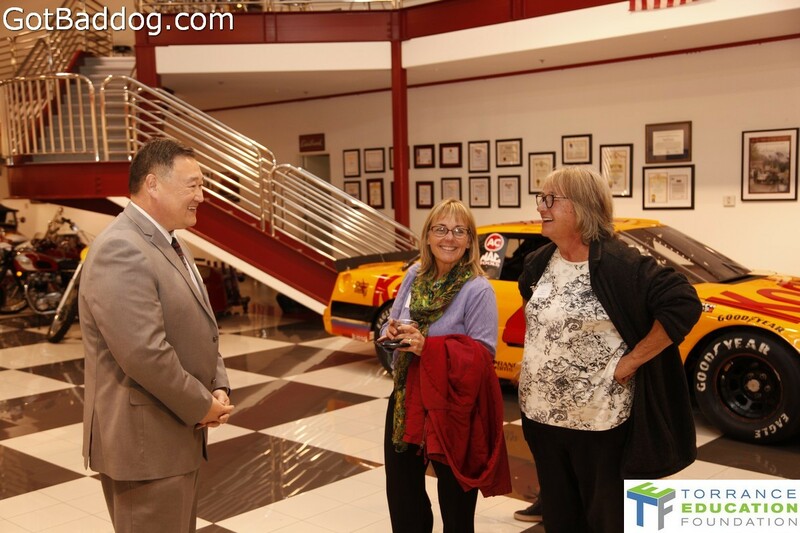 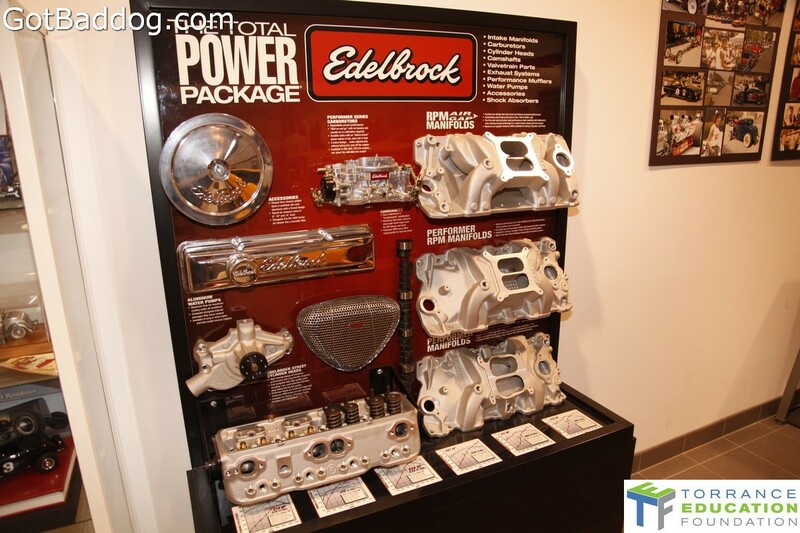 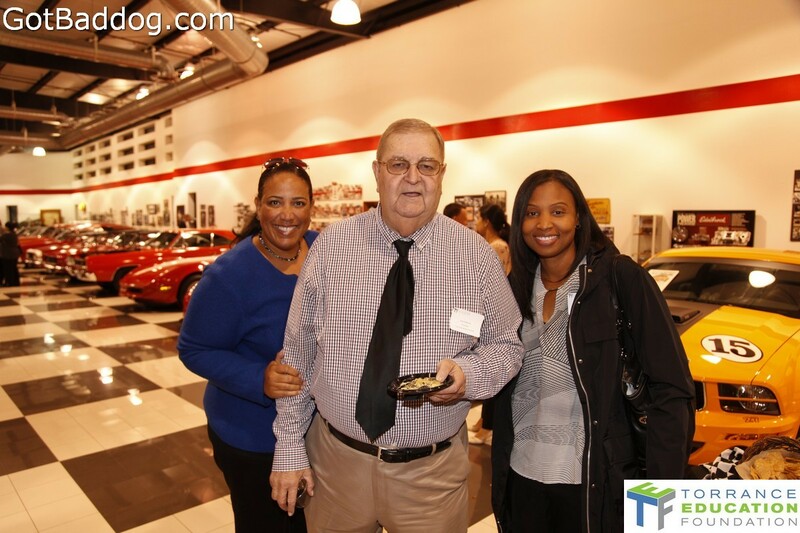 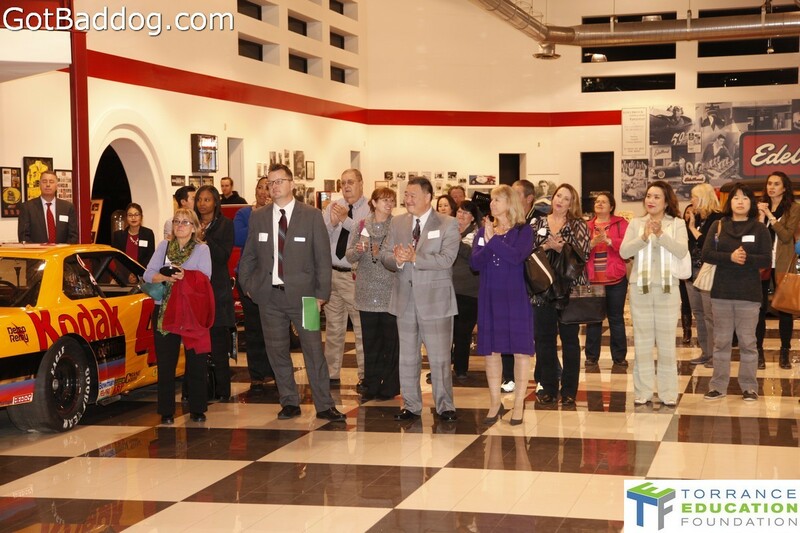 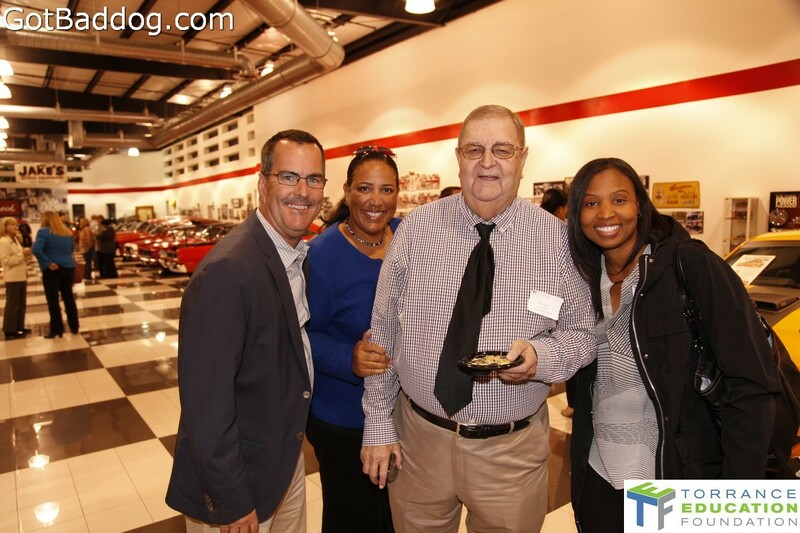 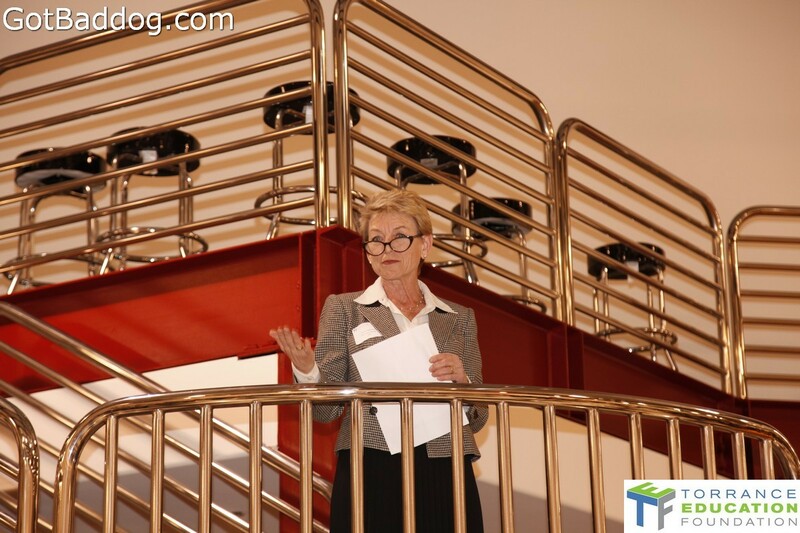 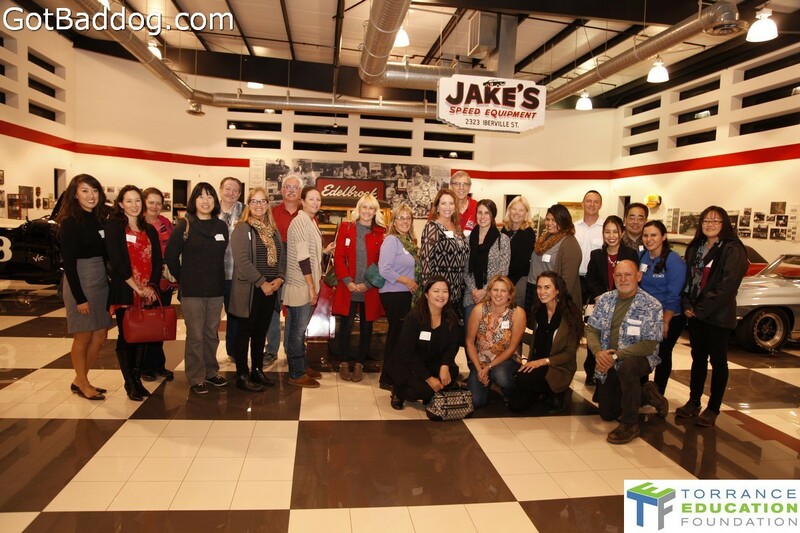 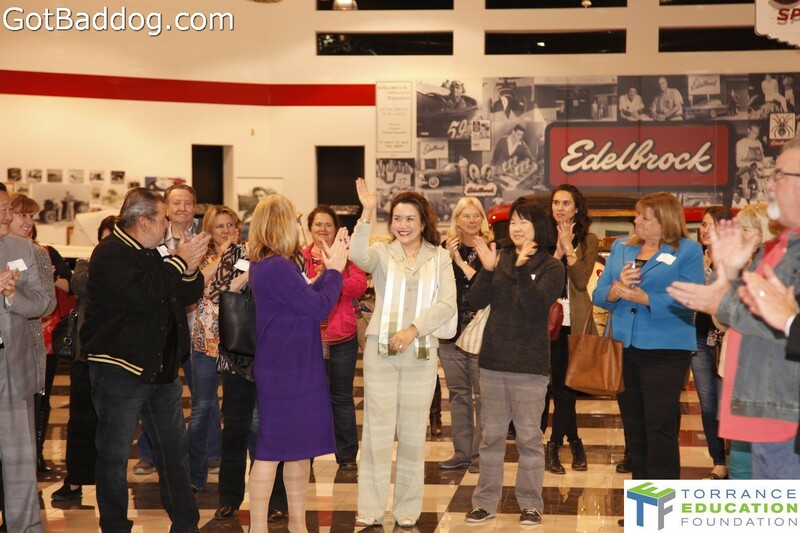 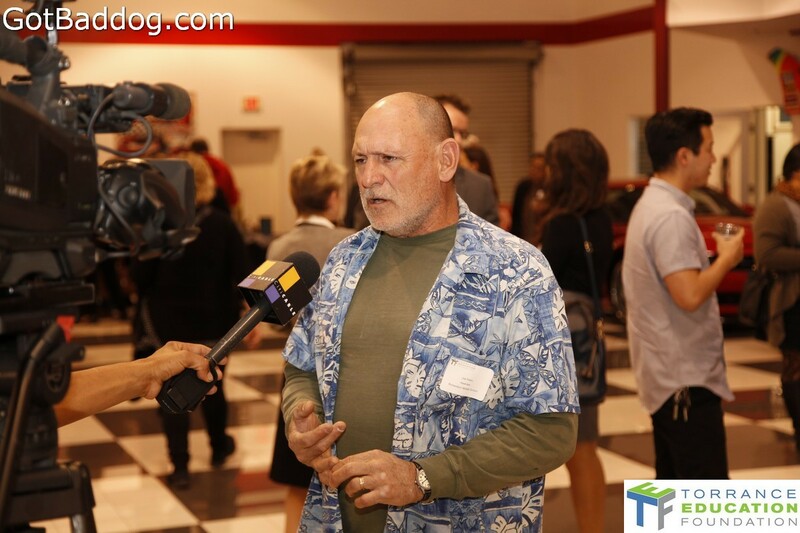 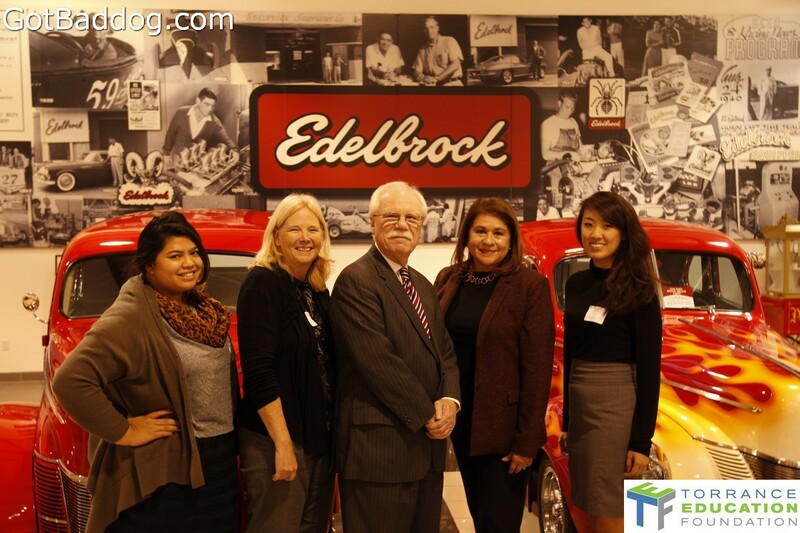 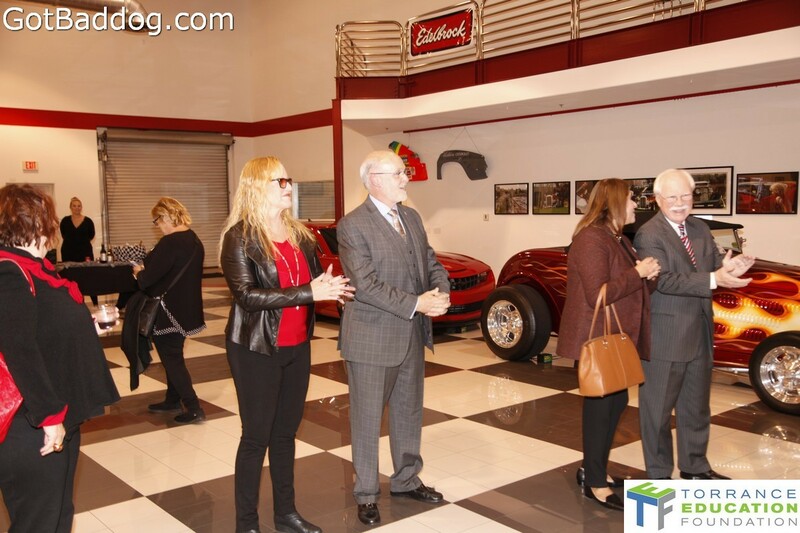 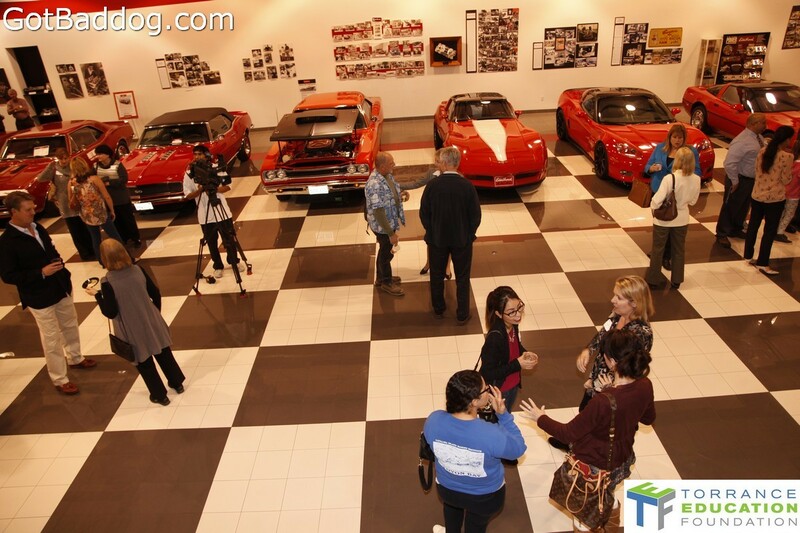 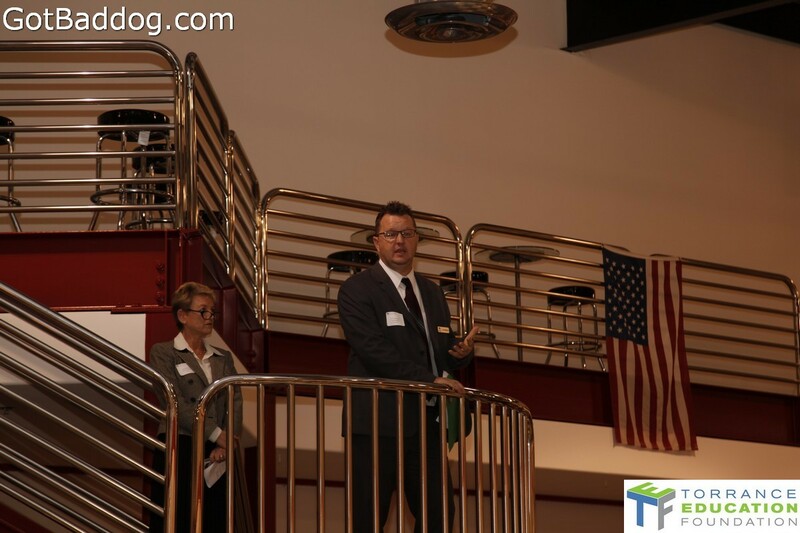 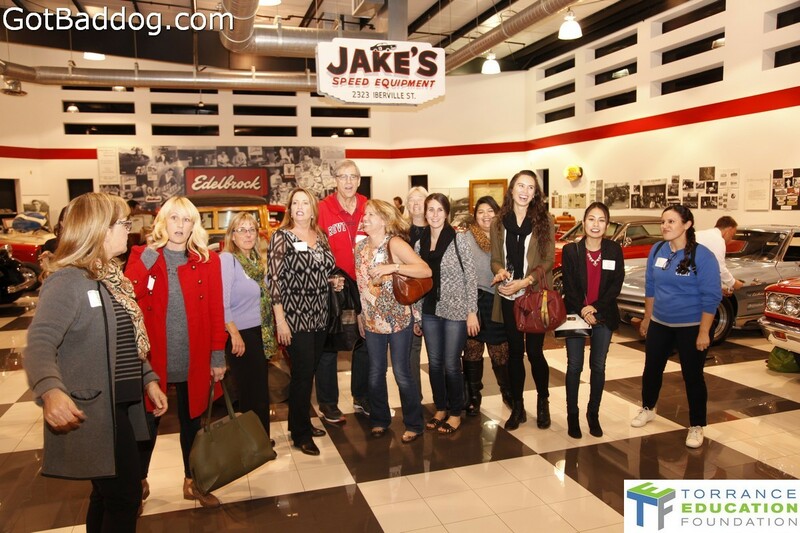 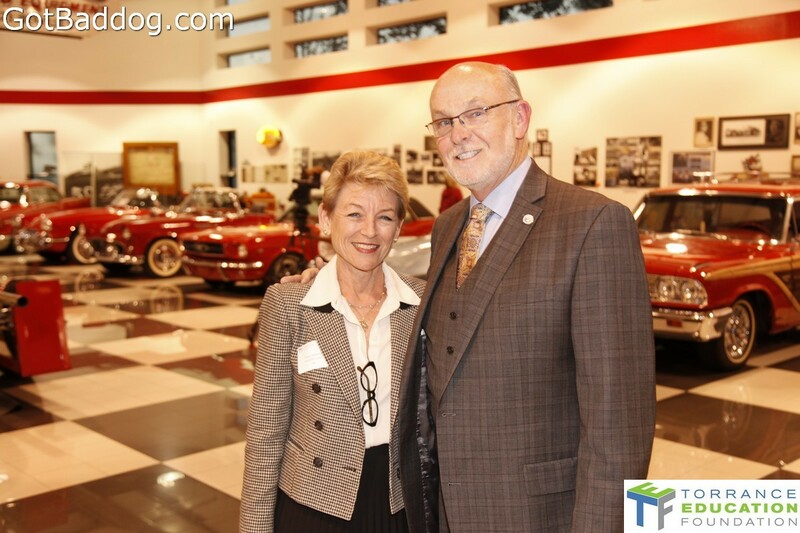 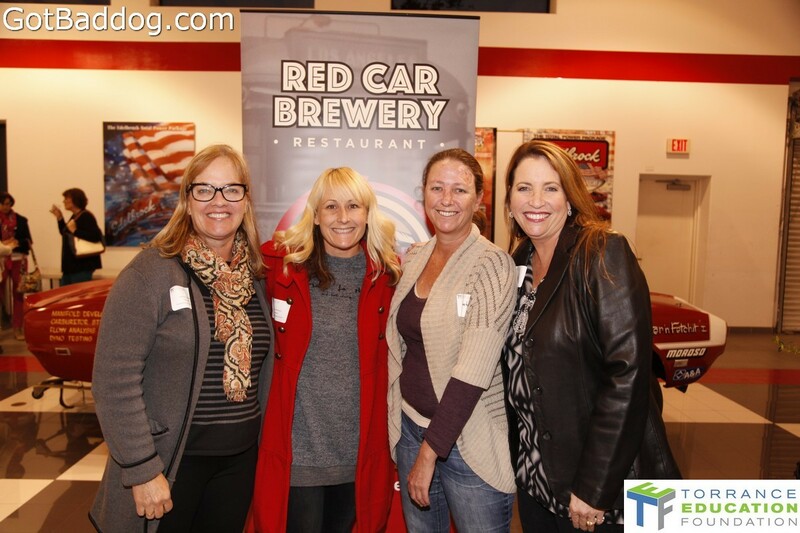 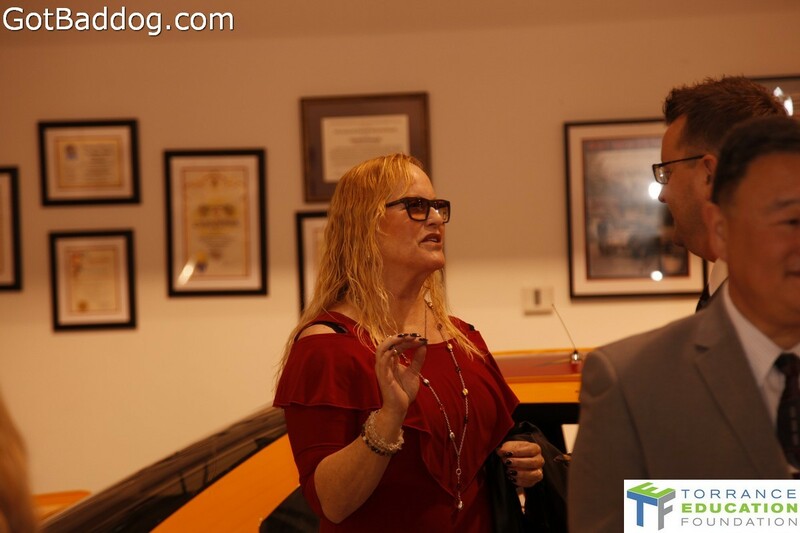 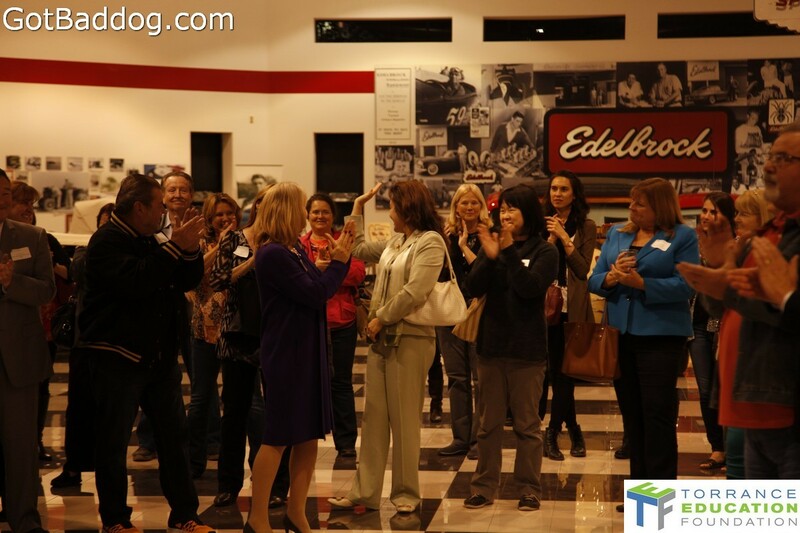 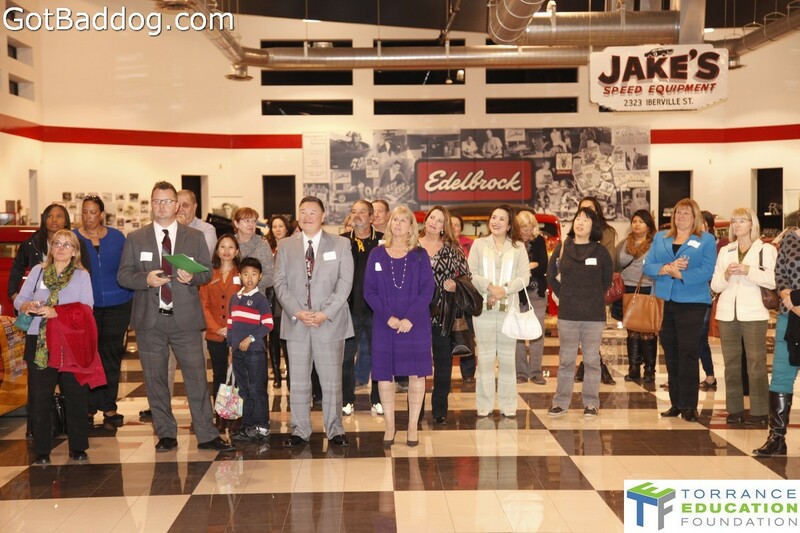 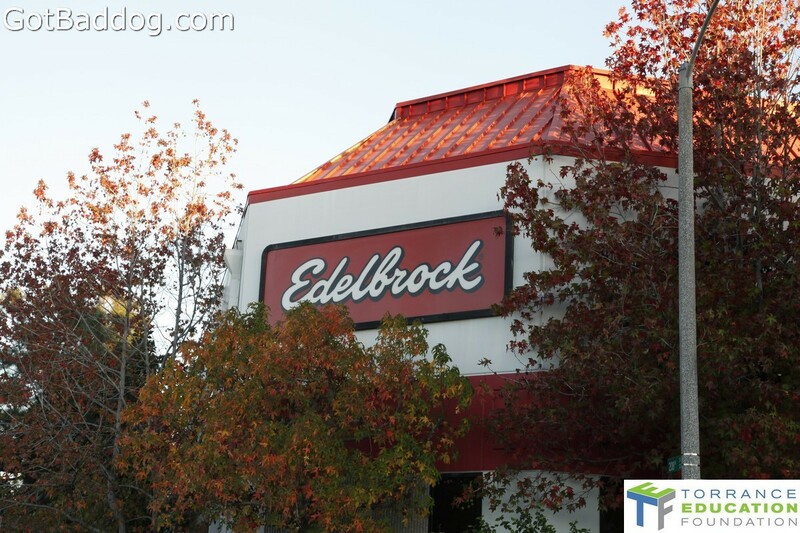 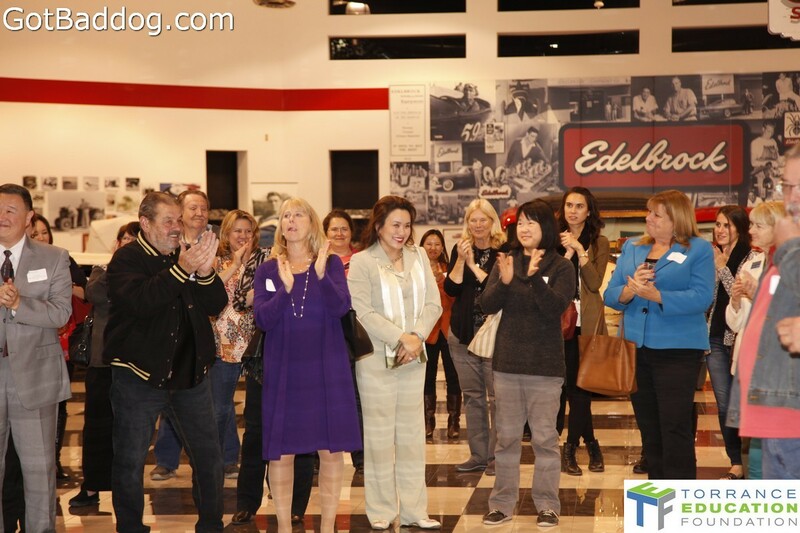 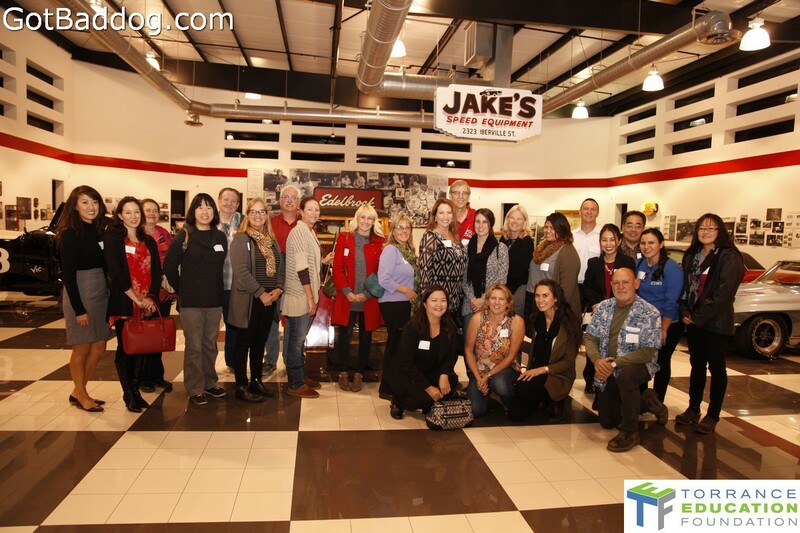 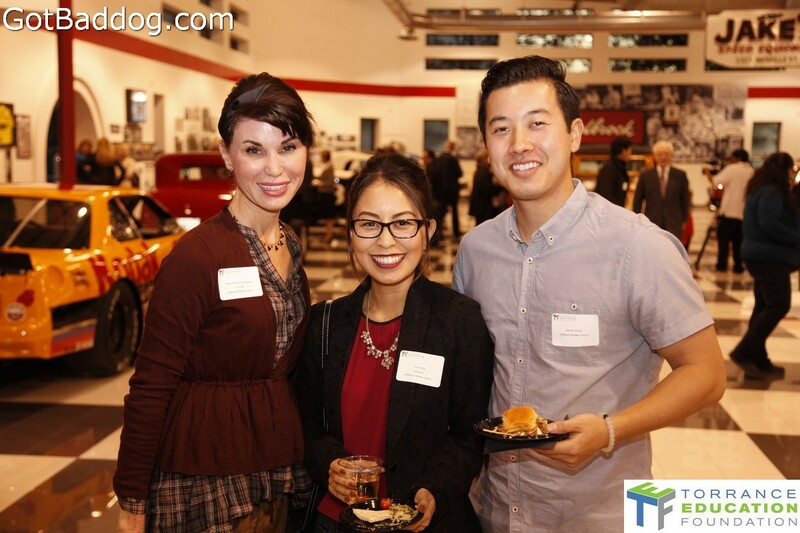 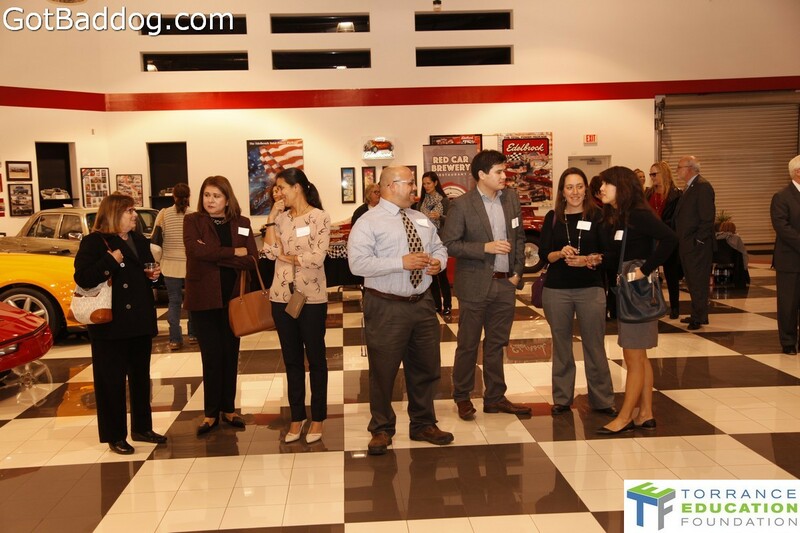 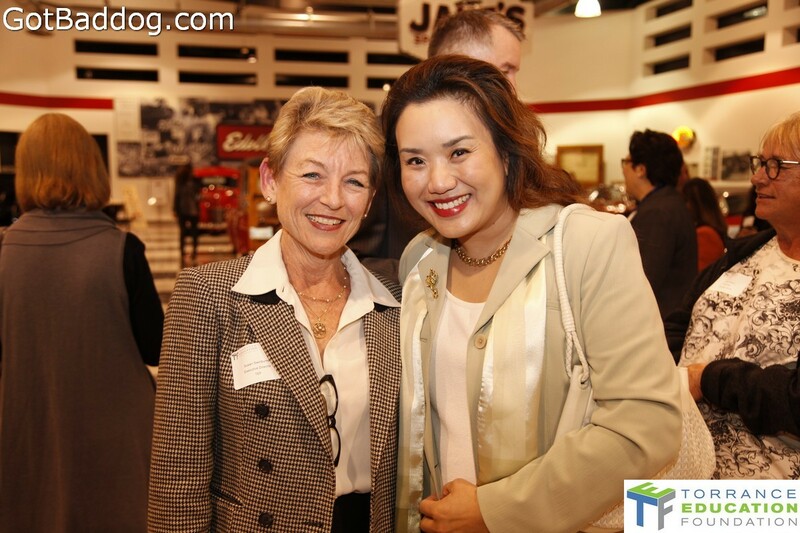 Since the Edelbrock Family Foundation was formed with the purpose of bringing together like-minded organizations that share a passion for providing education and training for America’s youth, they donated their space to the Torrance Education Foundation for their event. 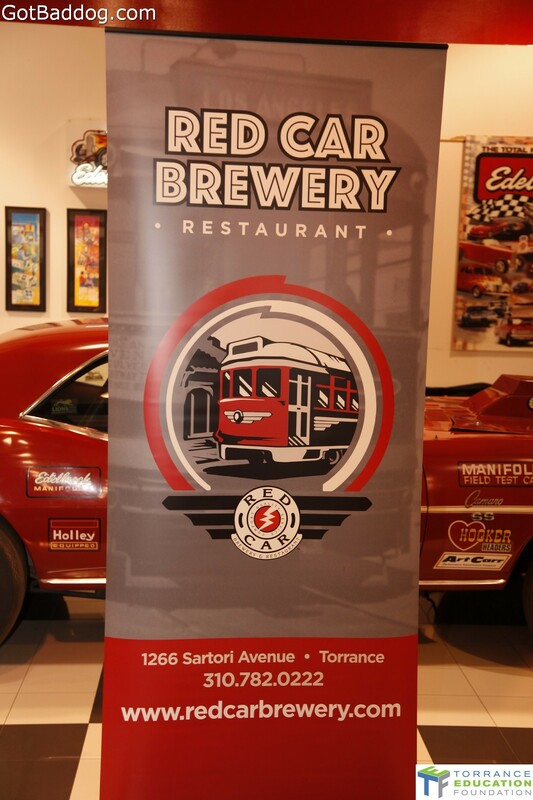 Red Car Brewery catered the event with Edamame Hummus, Spinach Artichoke Dip, Pulled Pork Sliders, raw veggies and some very tasty Vietnamese Chicken Skewers. 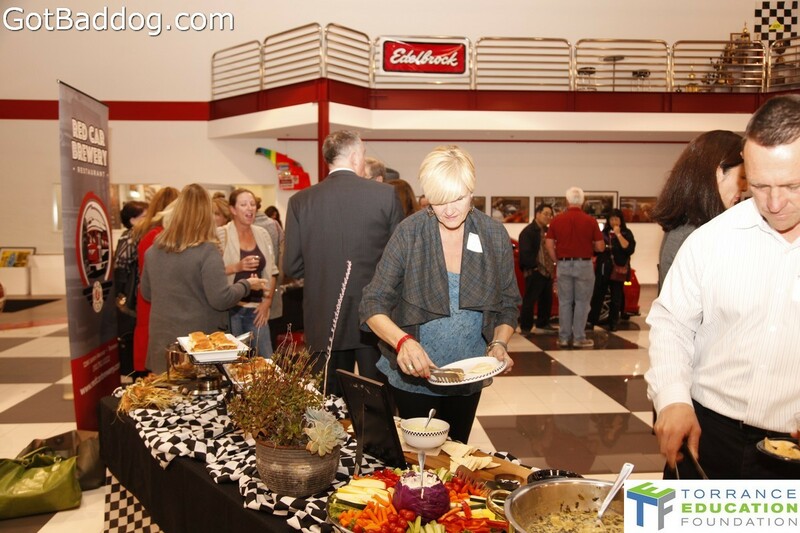 Of course, they also brought a couple of their beers as well as wine. 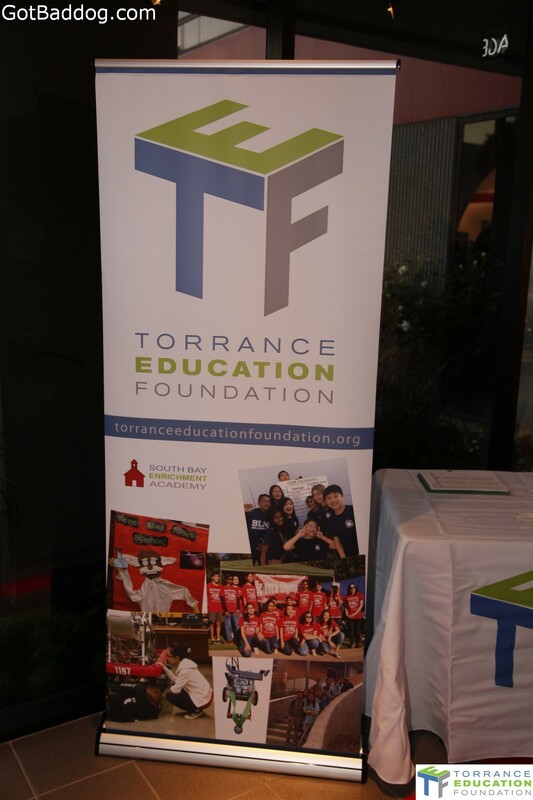 Congratulations to the teachers recognized and to the Torrance Education Foundation for putting on a fun event.